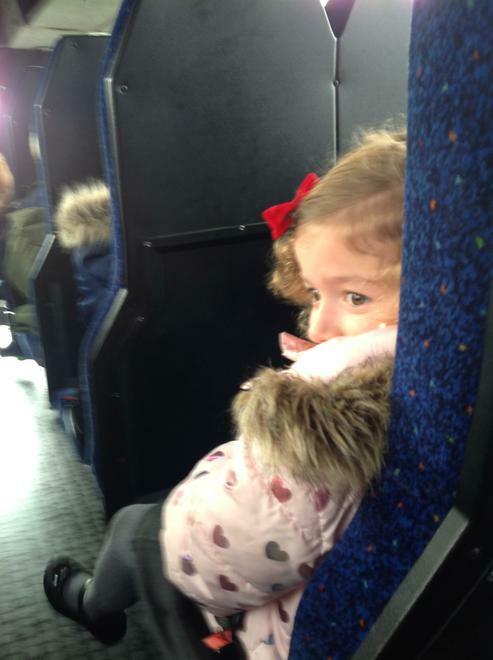 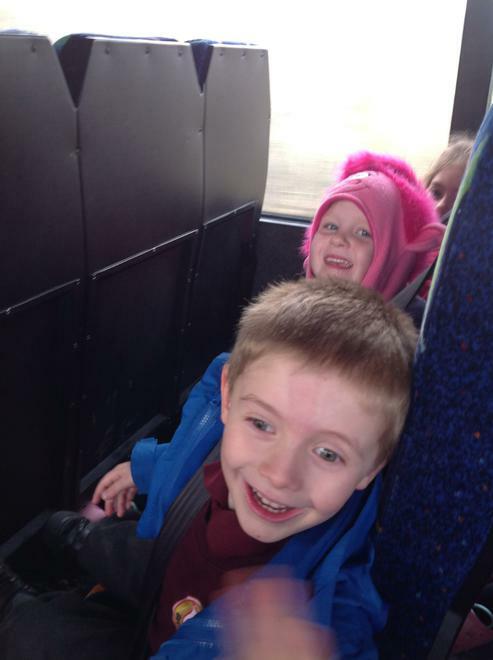 HAPPY AND EAGER TO LEARN! 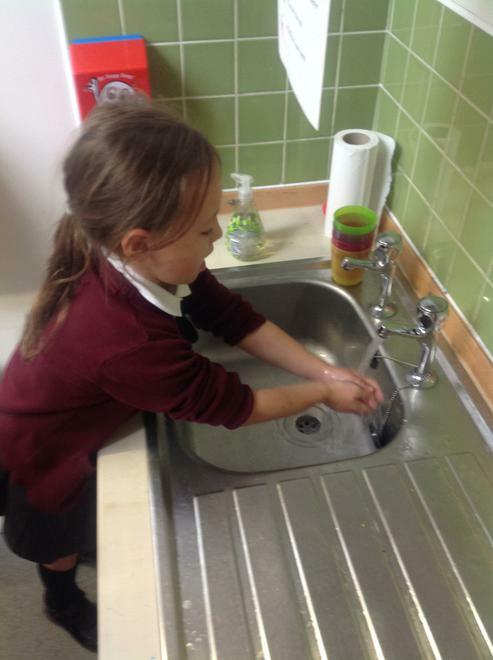 Another term has been and gone and we are now entering the Summer term! 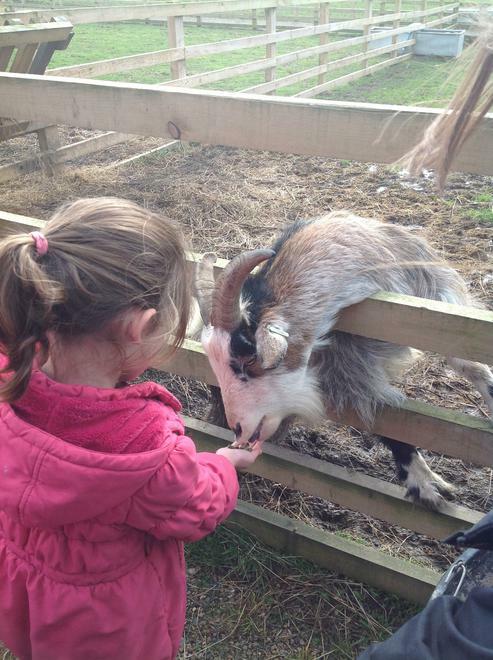 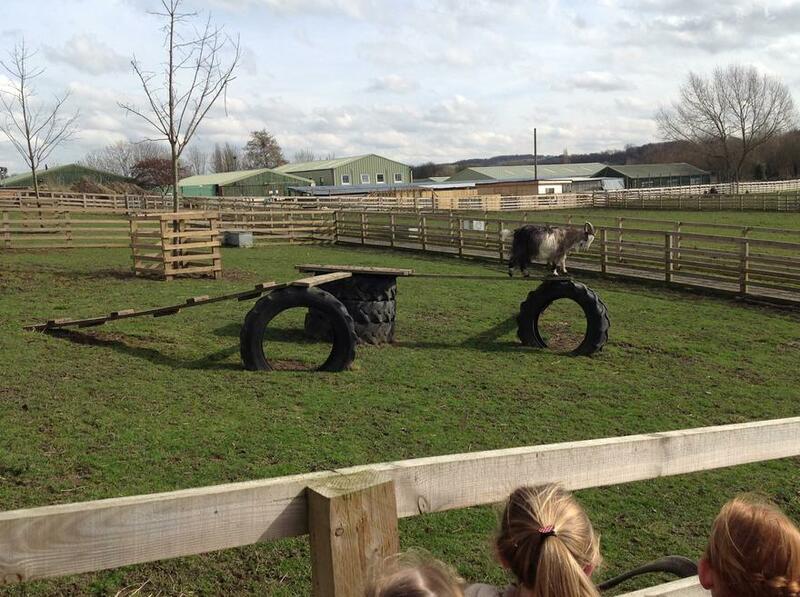 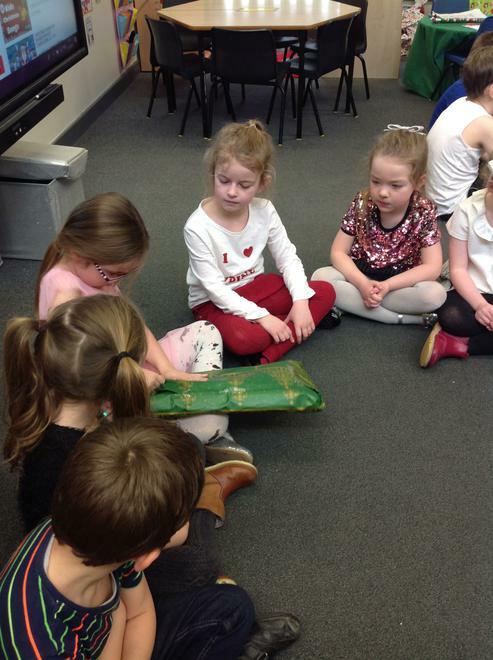 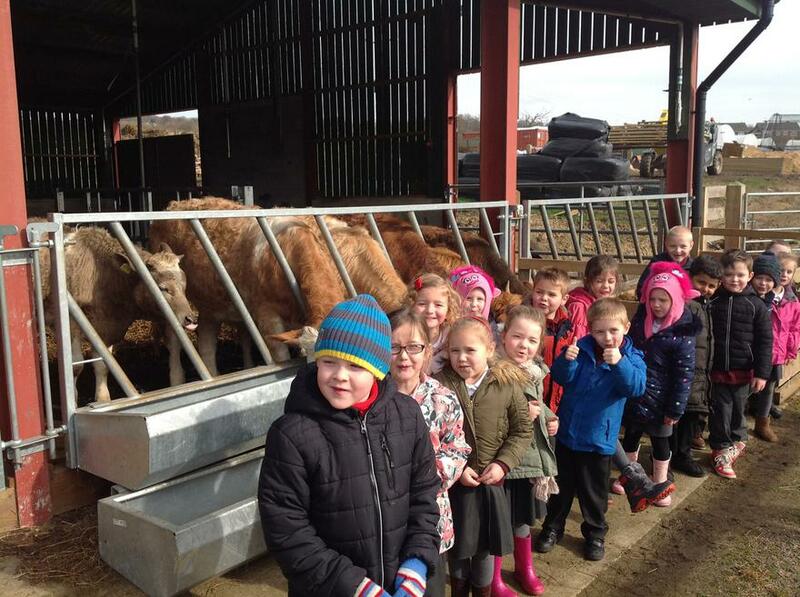 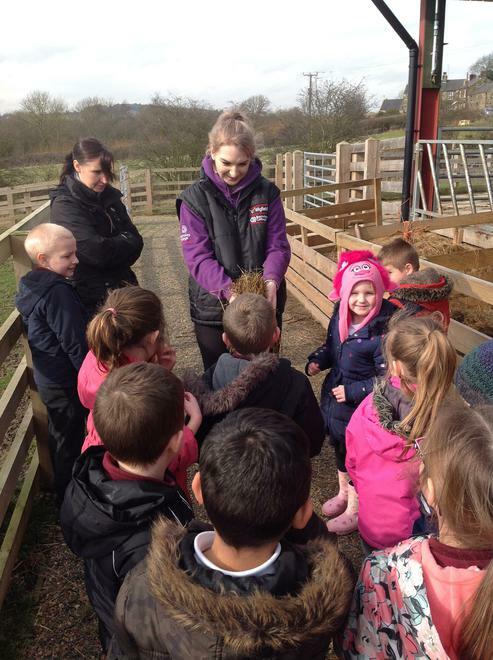 Our topic for this half term is 'Down at the Farm'. 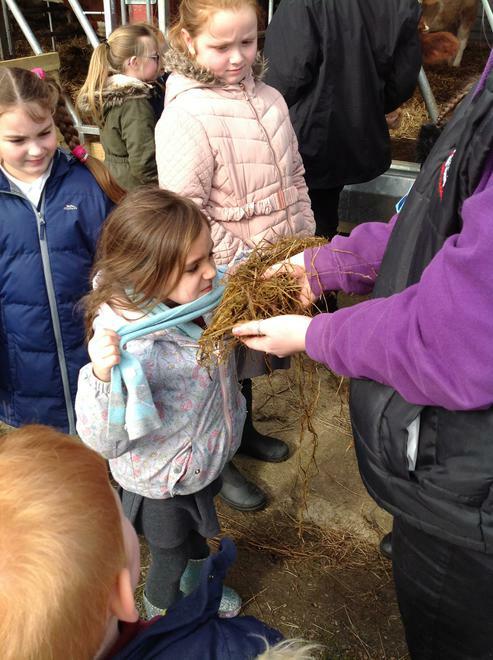 We will be looking at Spring, life cycles of animals, changes in plants - including growing our own, and finding out where food comes from. 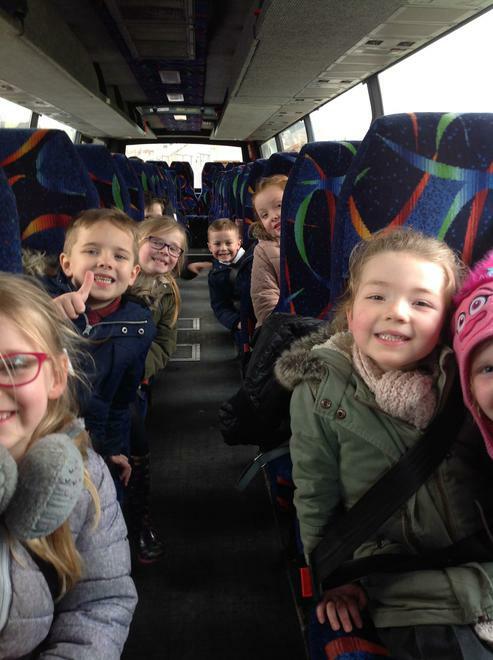 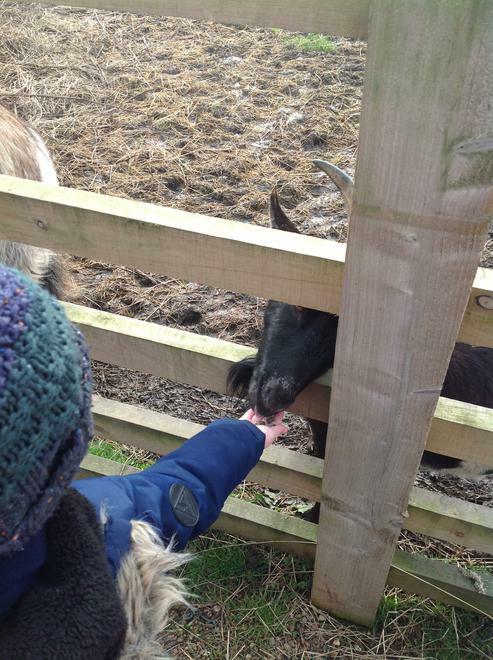 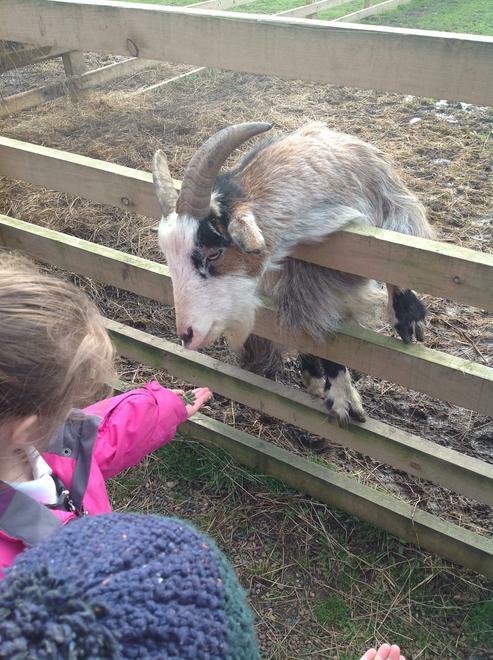 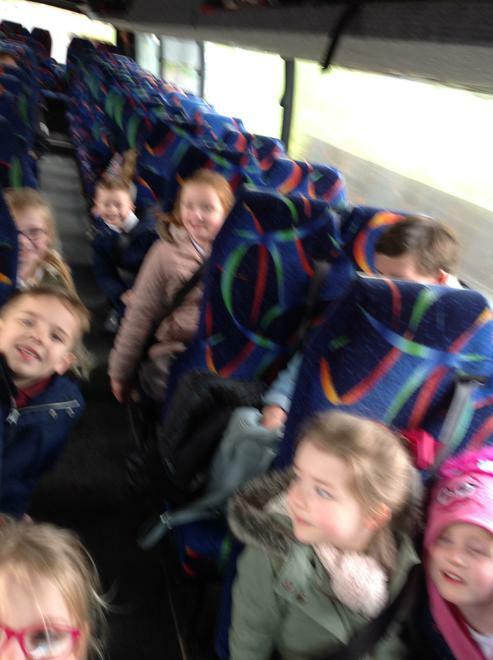 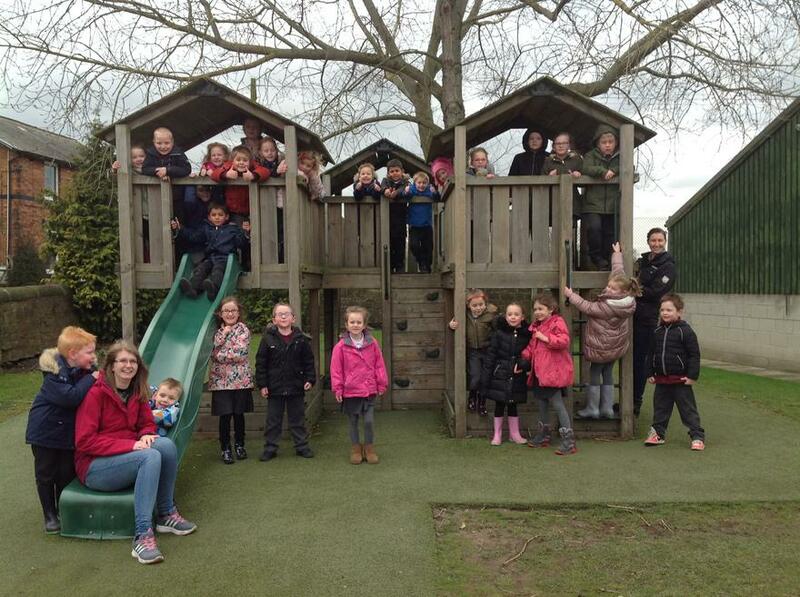 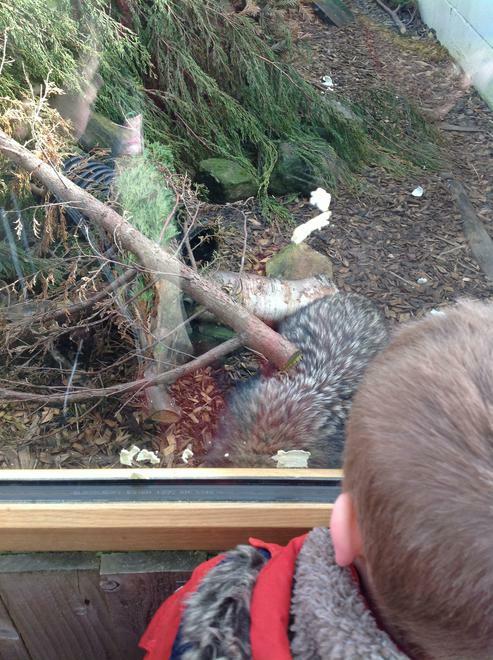 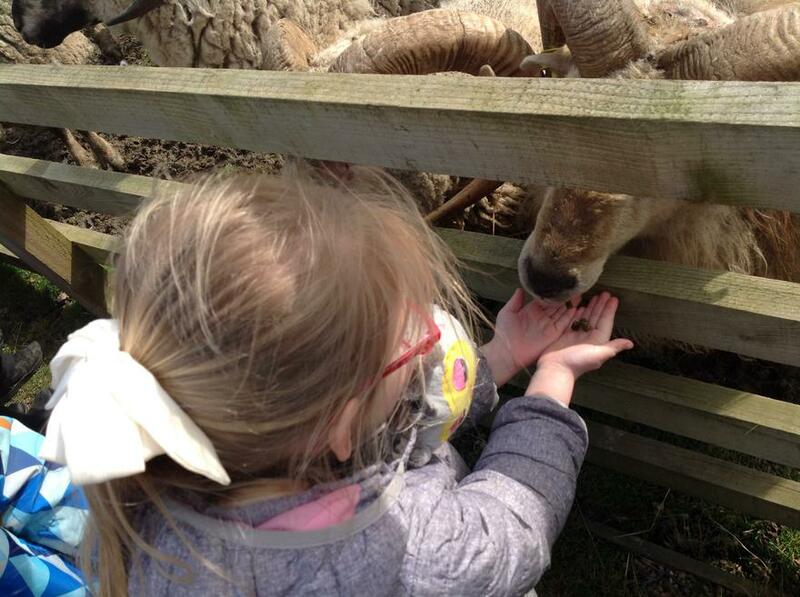 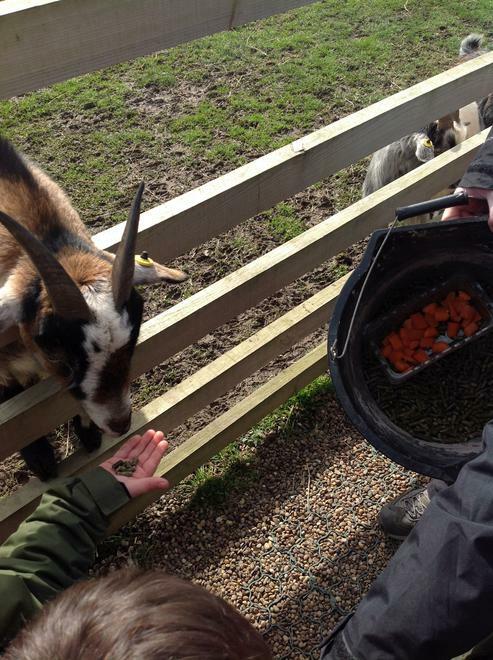 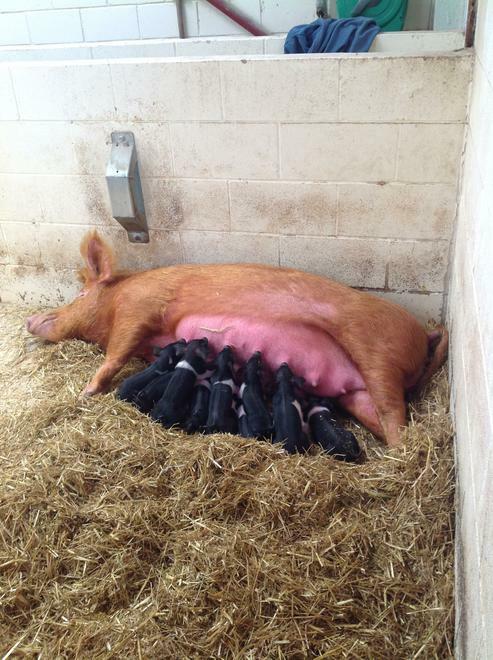 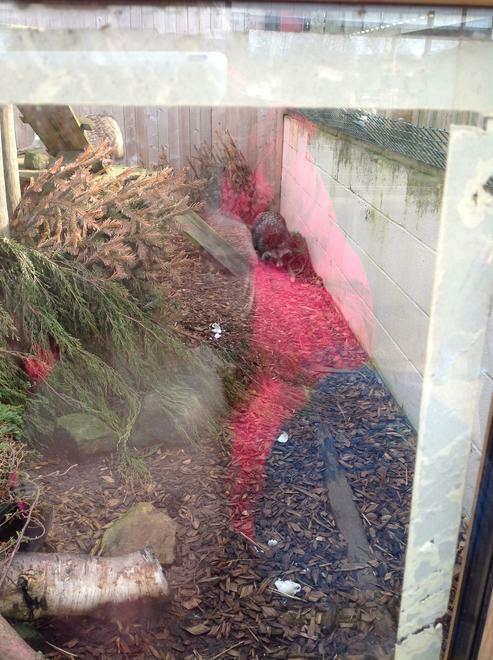 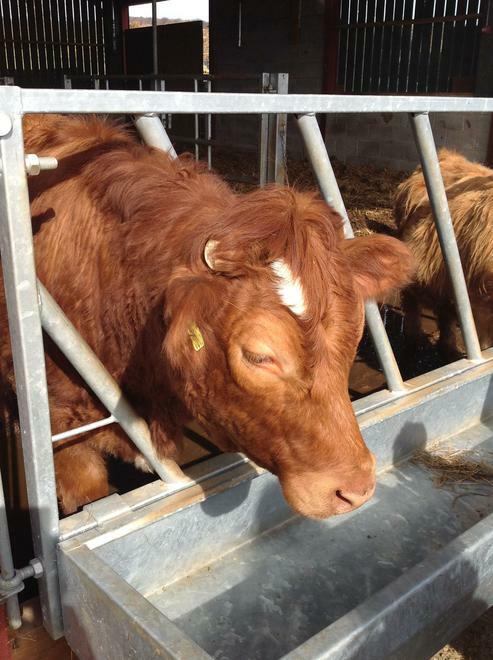 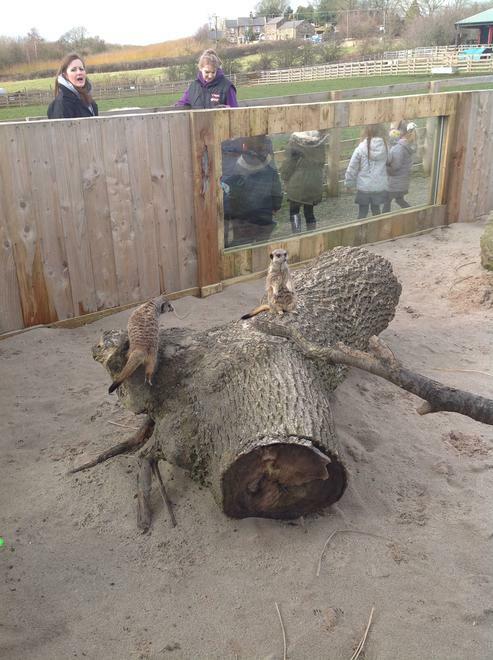 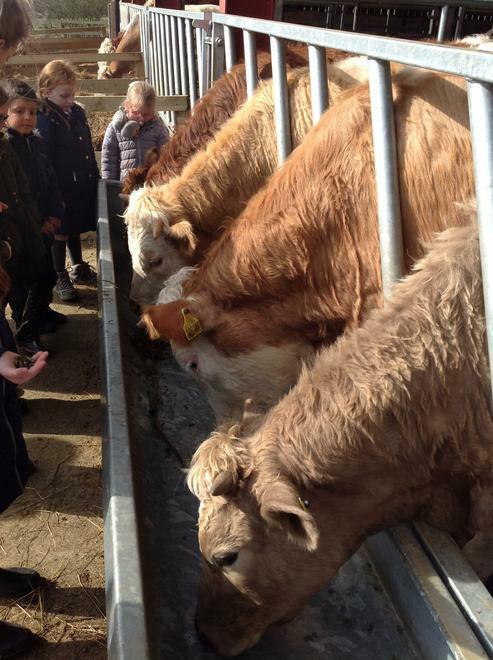 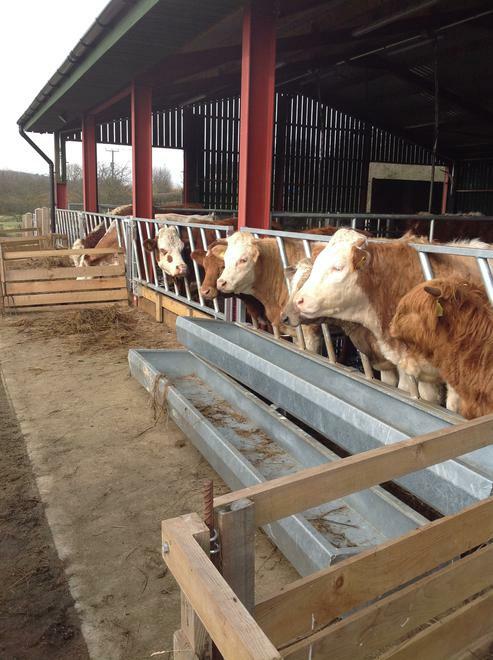 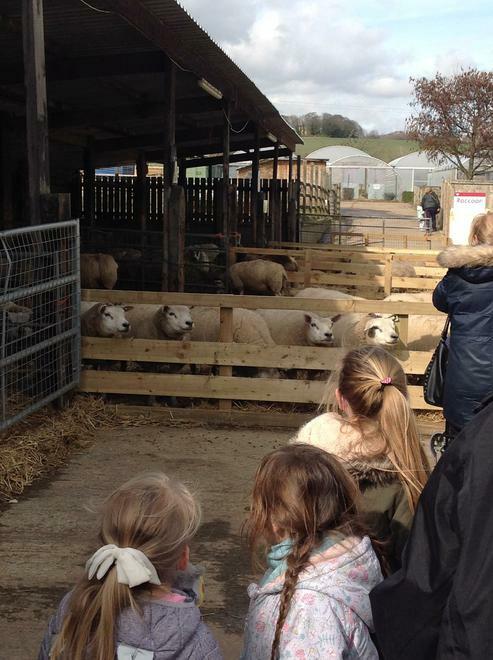 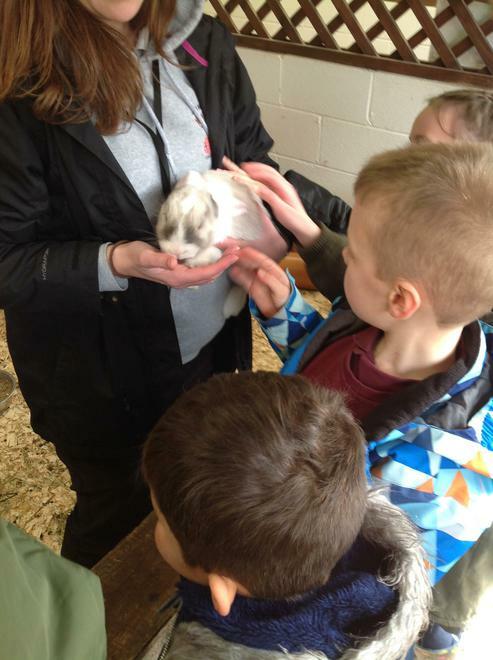 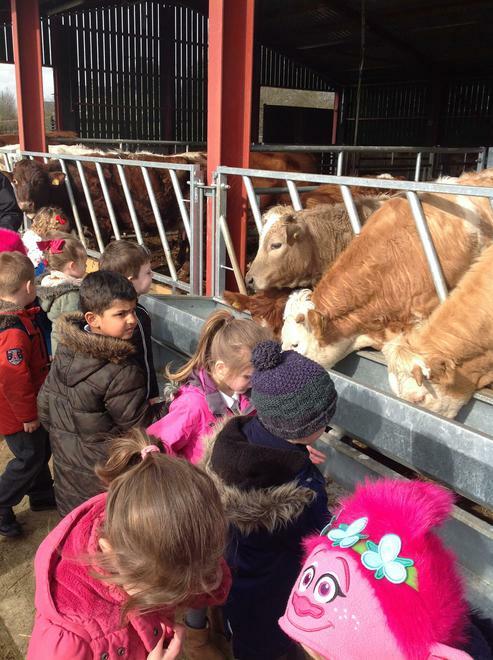 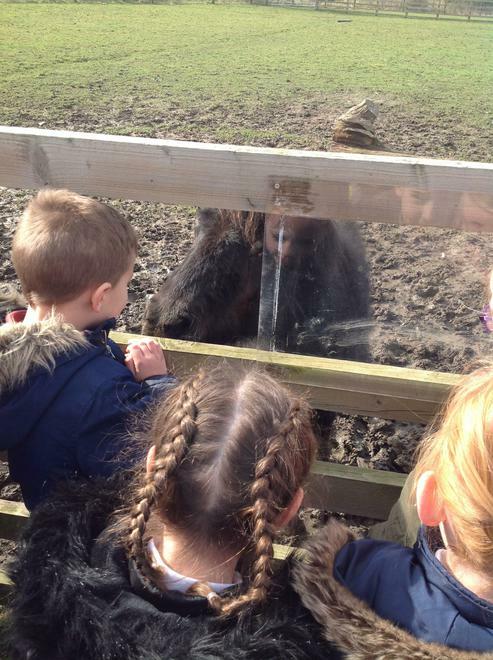 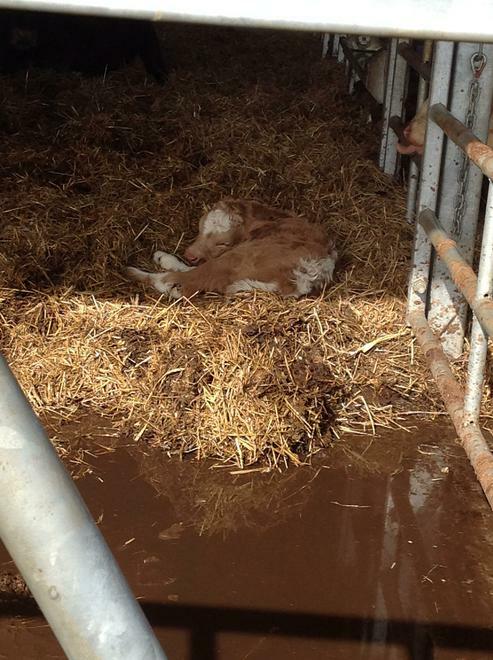 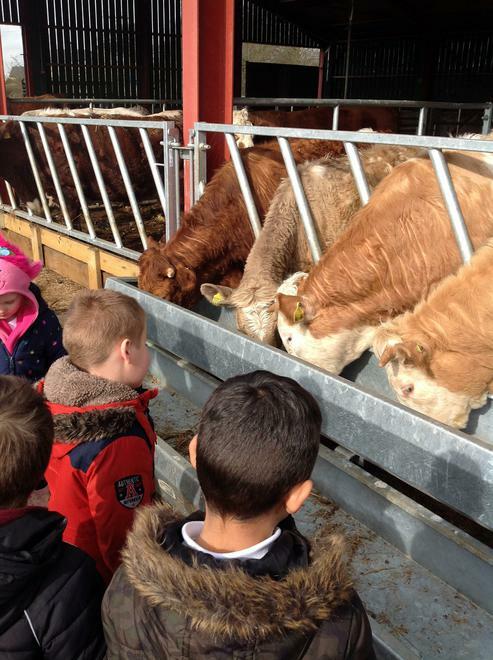 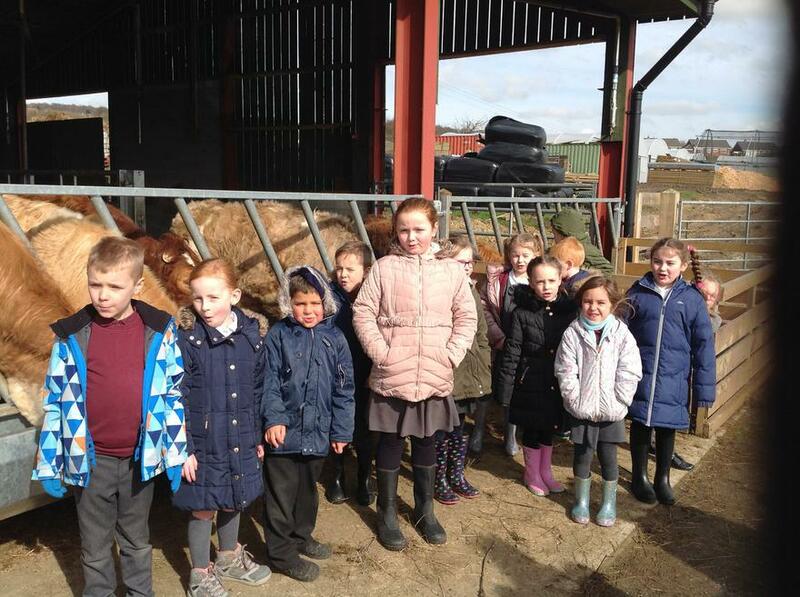 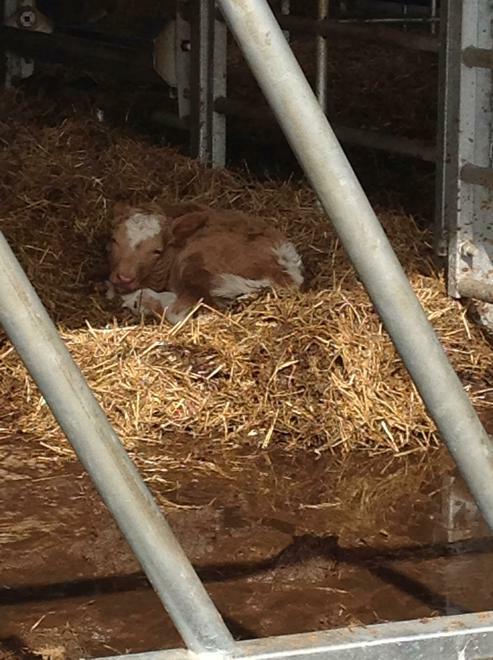 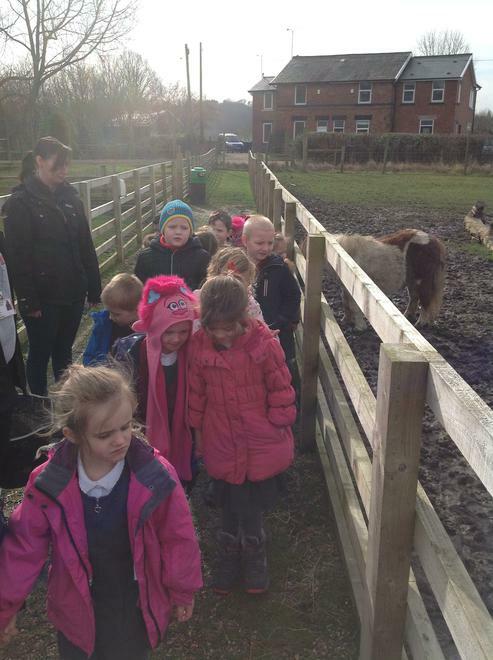 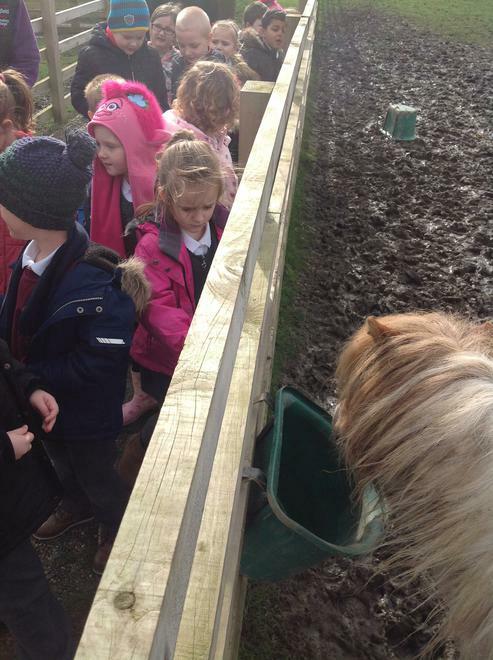 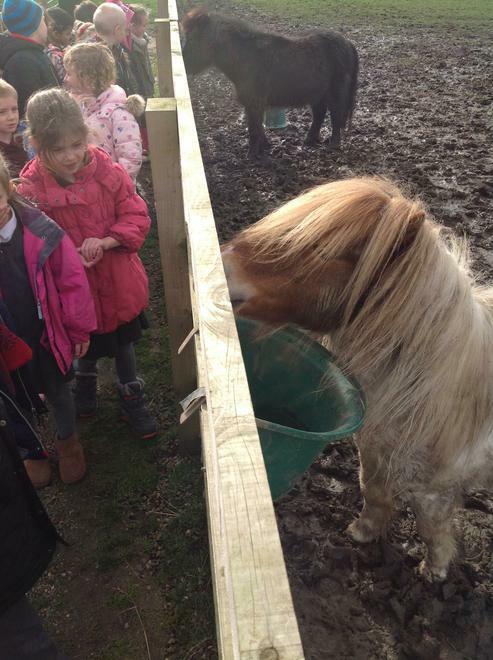 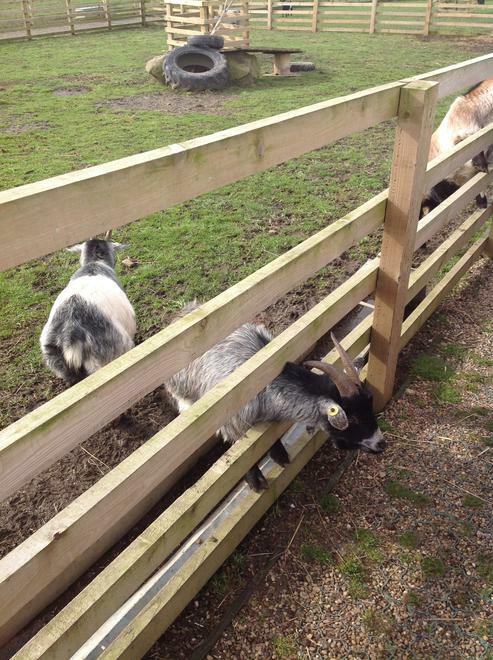 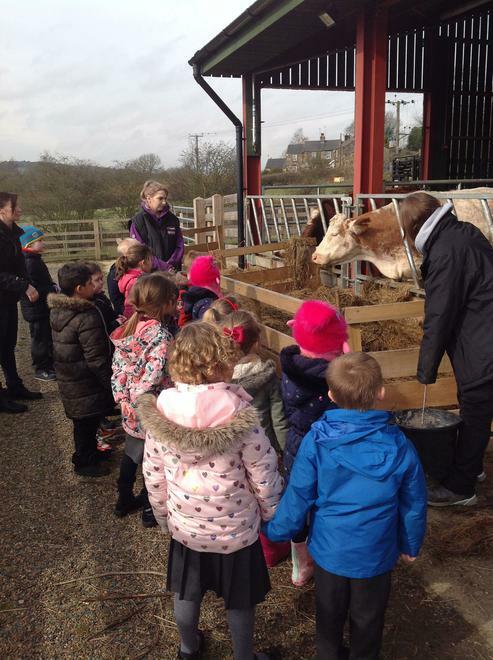 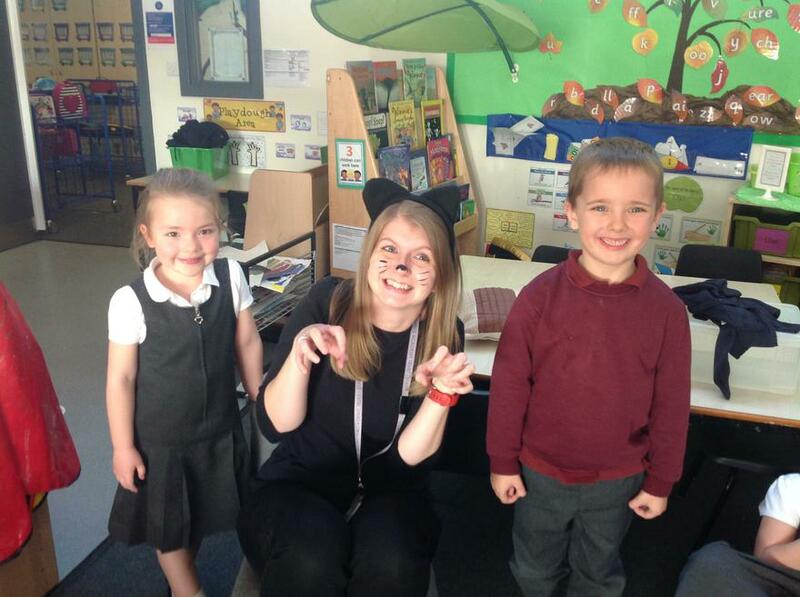 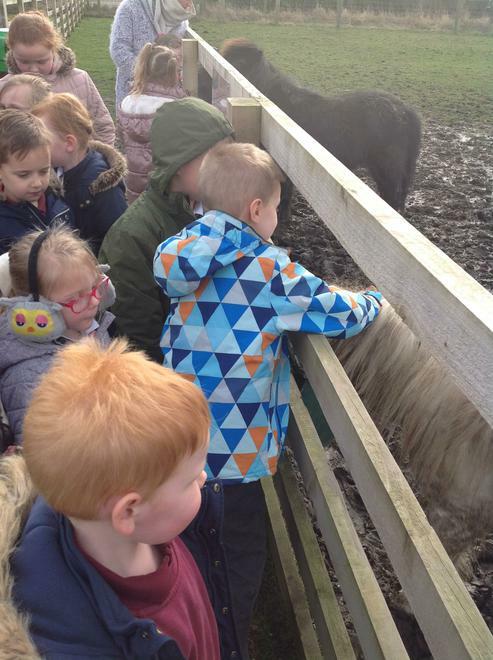 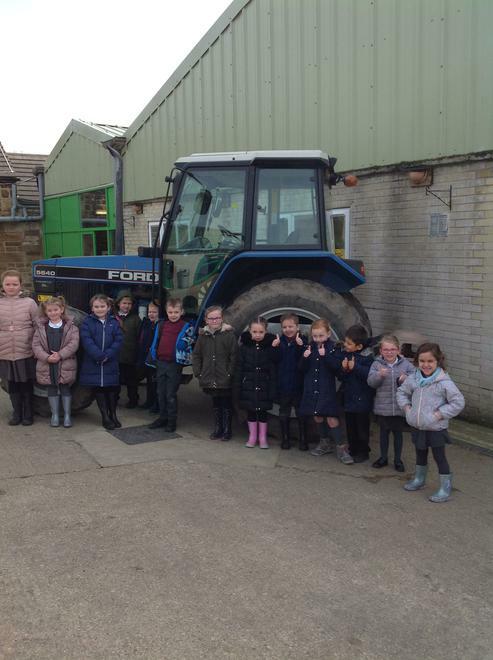 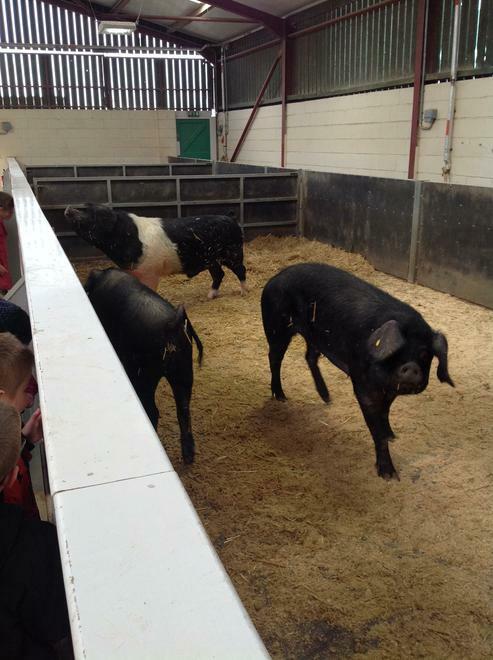 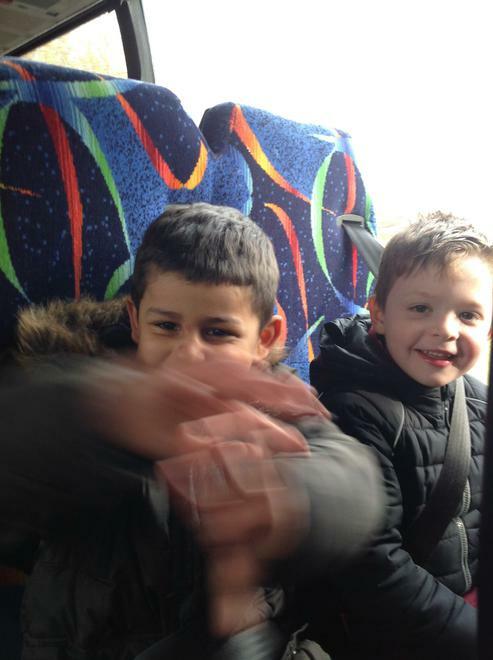 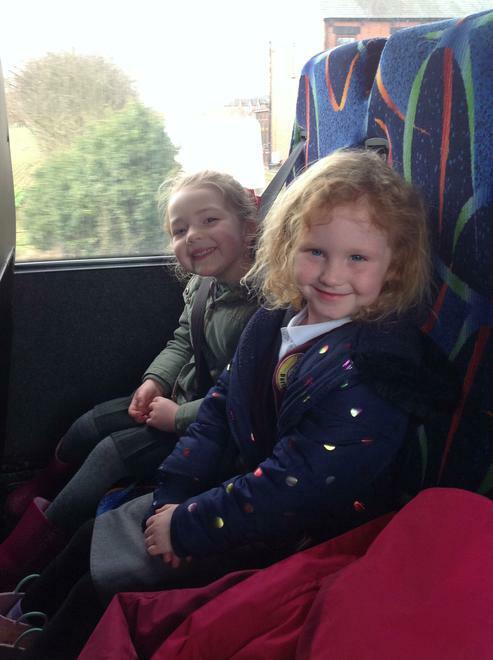 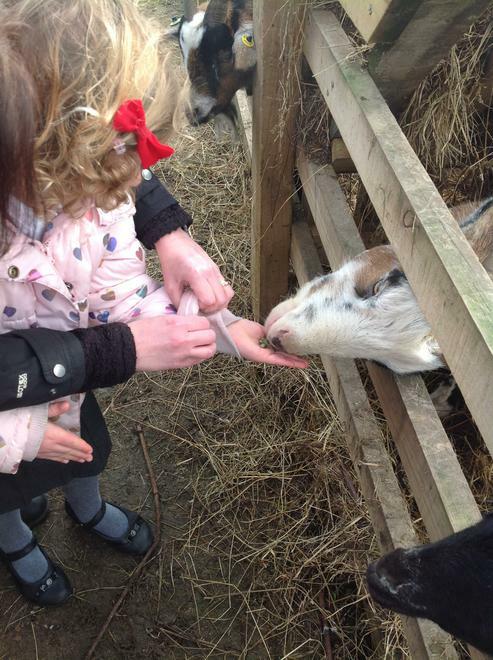 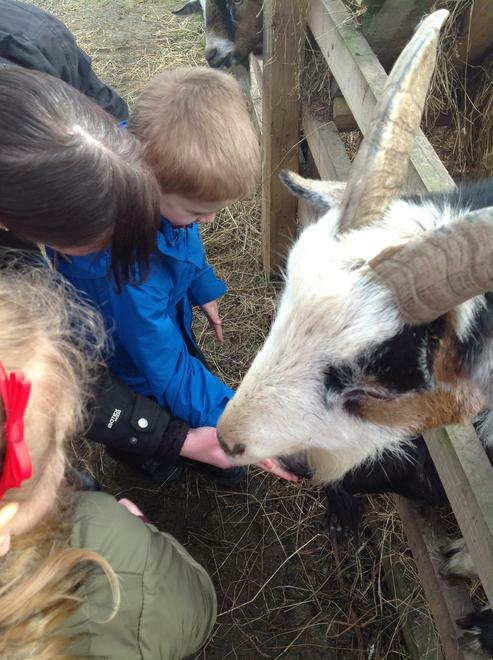 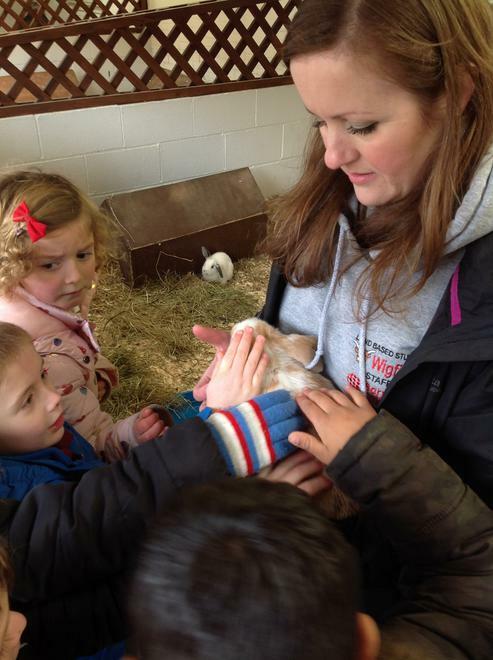 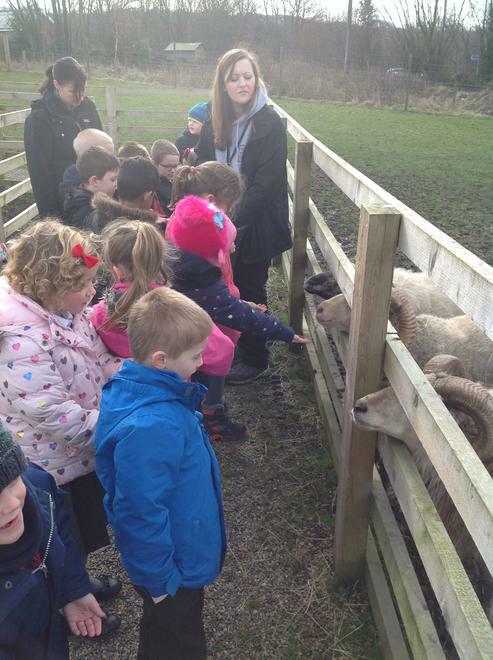 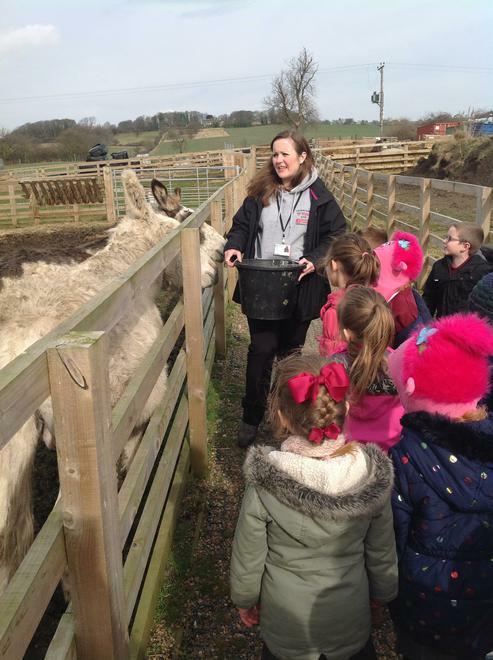 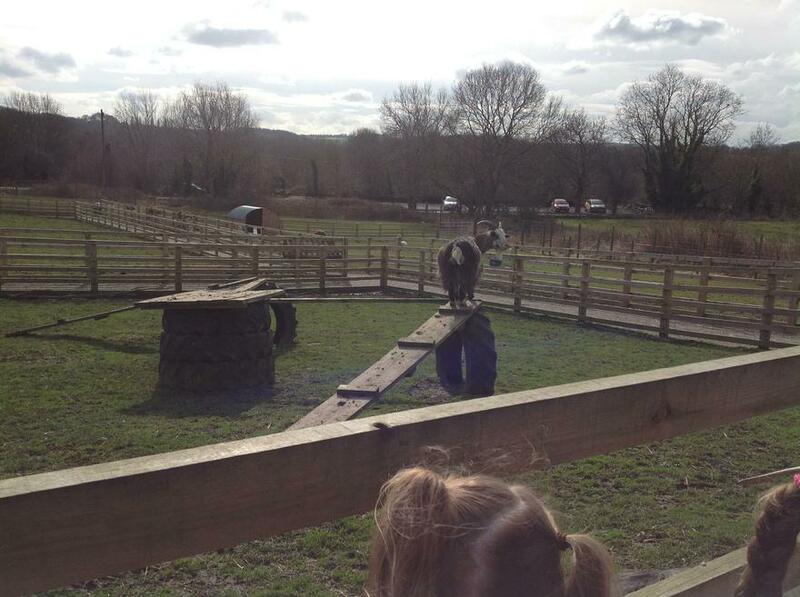 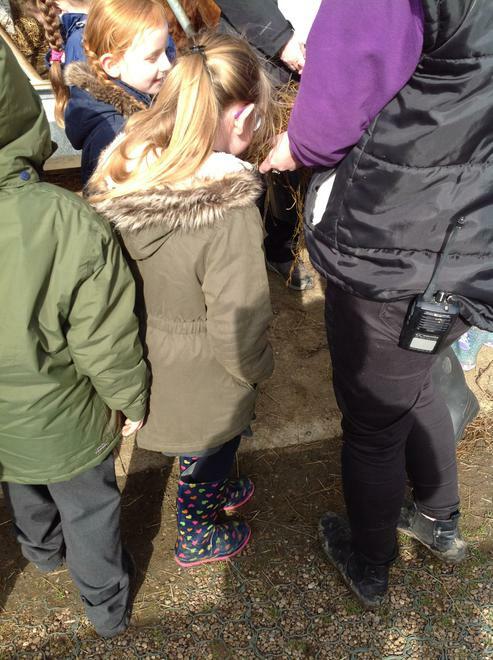 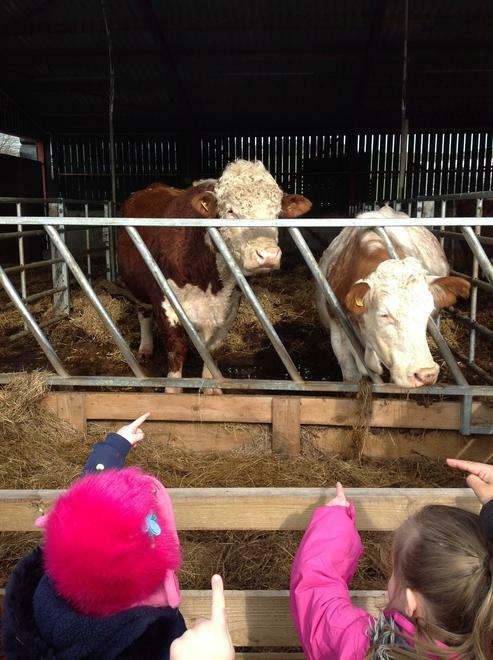 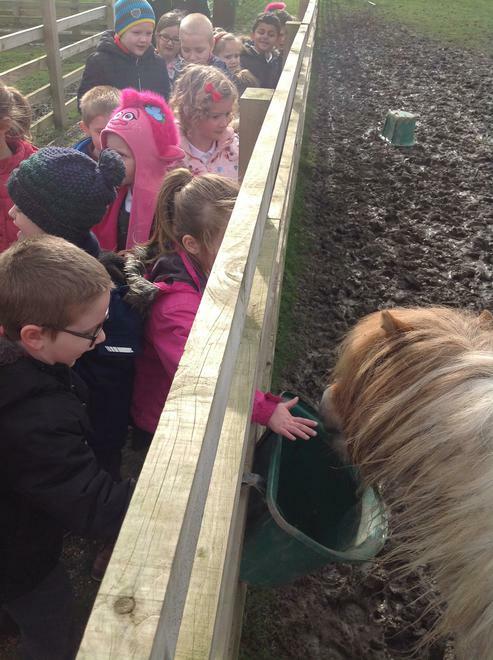 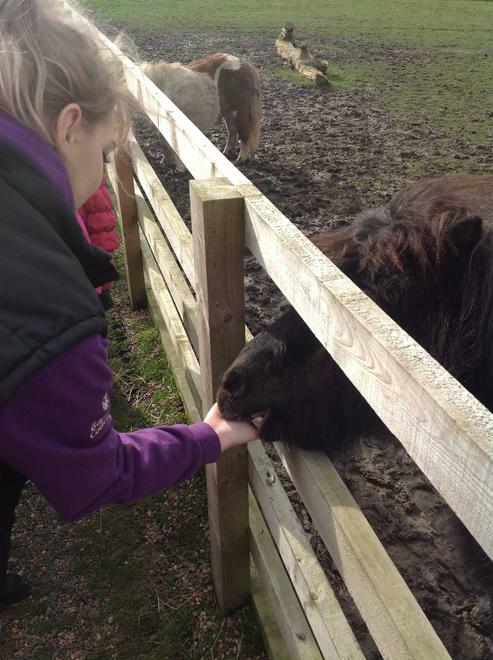 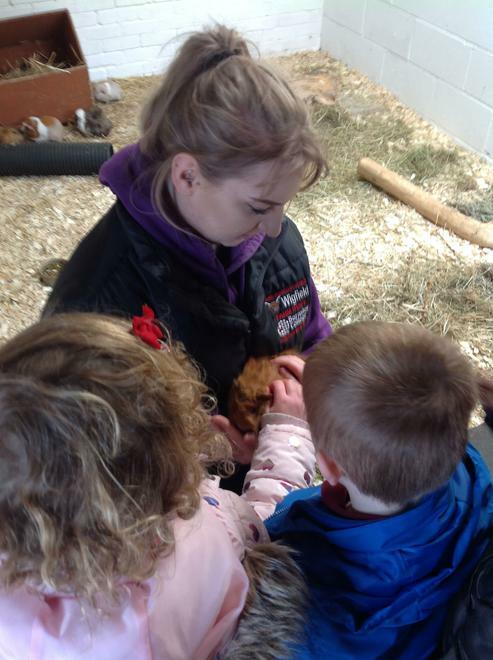 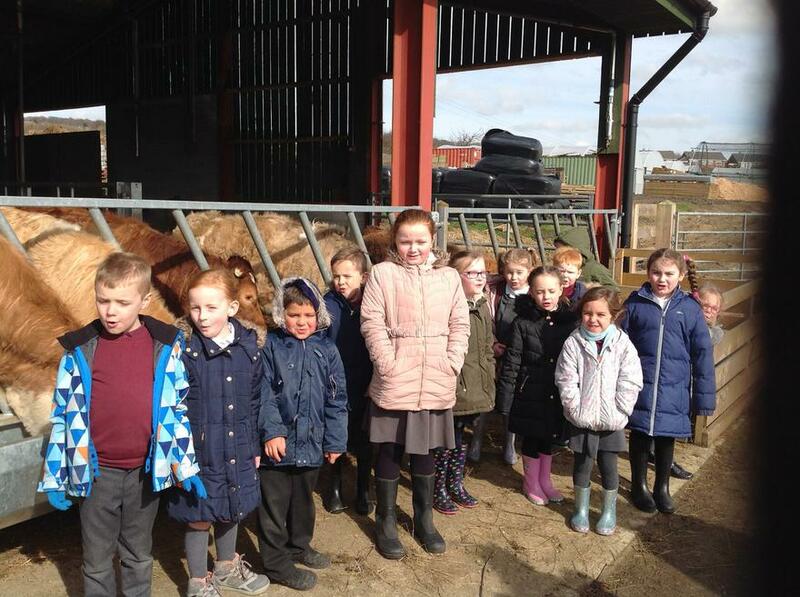 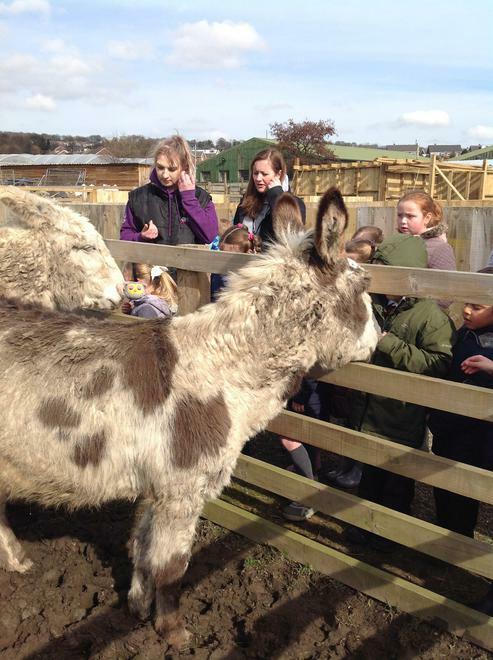 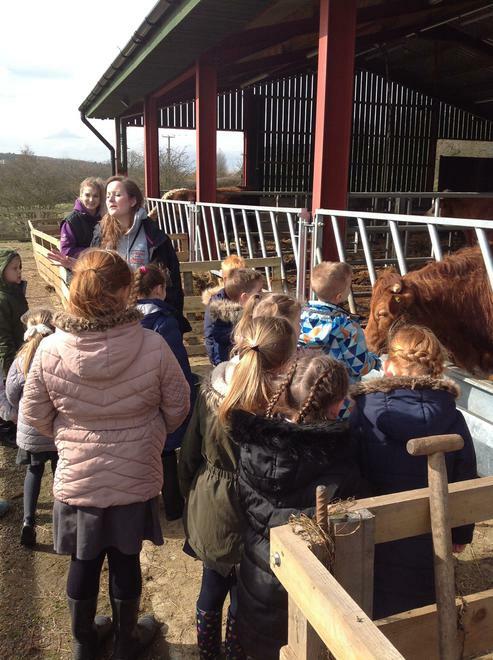 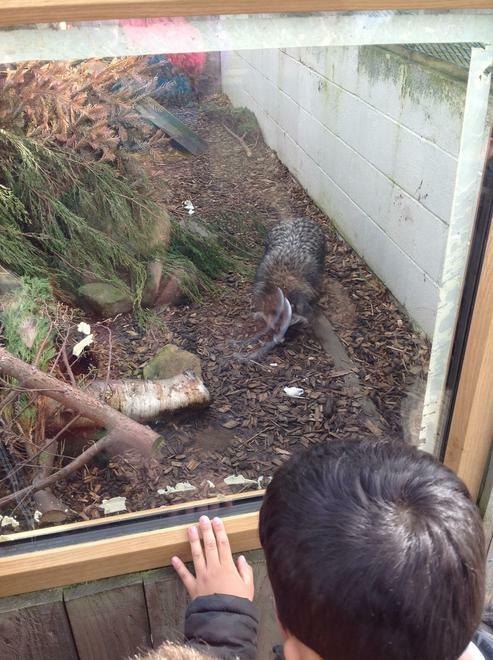 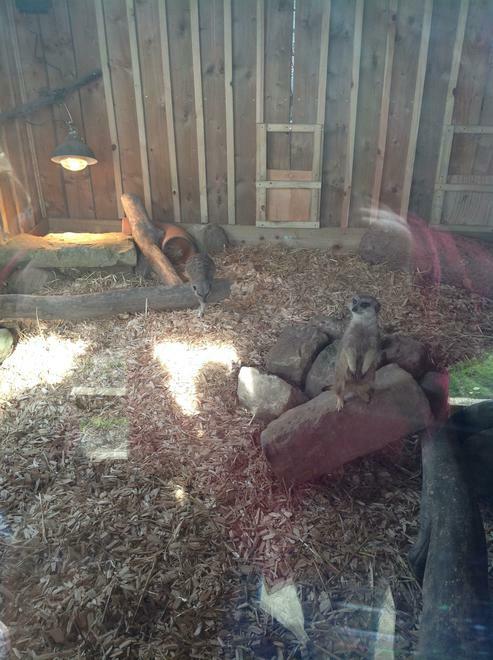 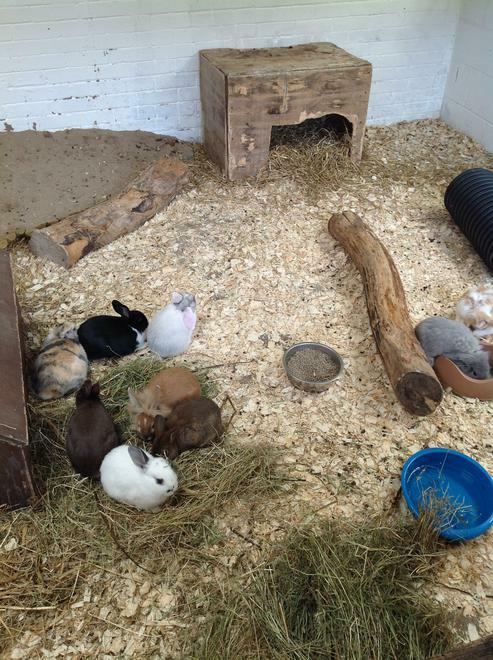 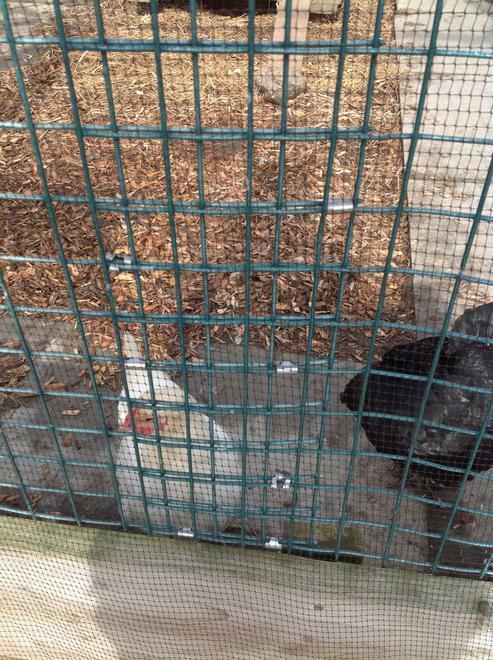 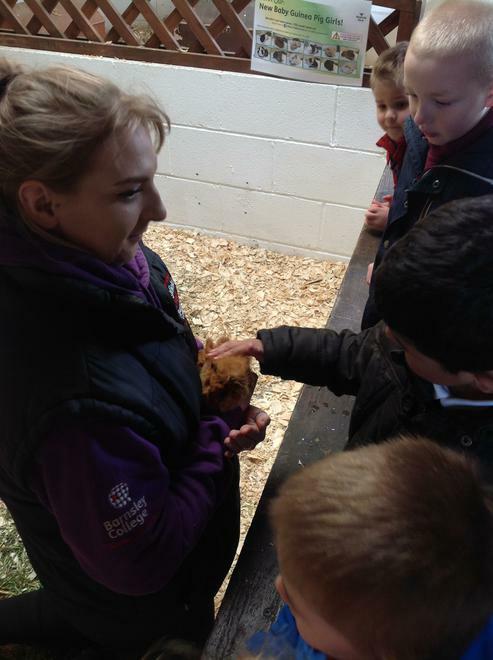 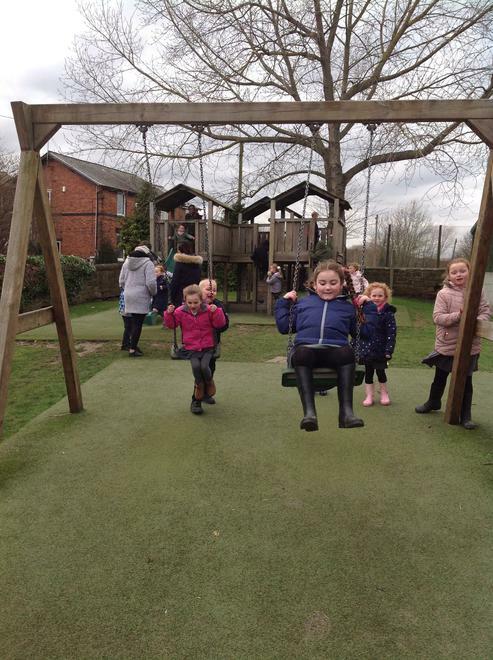 Our trip to Wigfield Farm was a huge success! 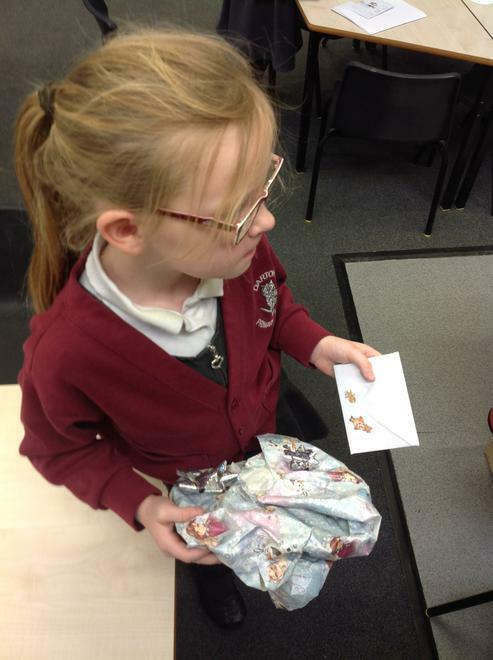 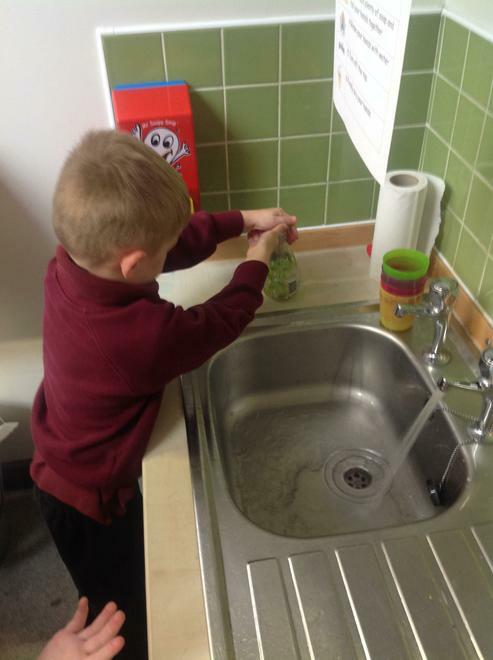 CREATING OUR CRESS HEADS - We can't wait to look after them and watch them grow! 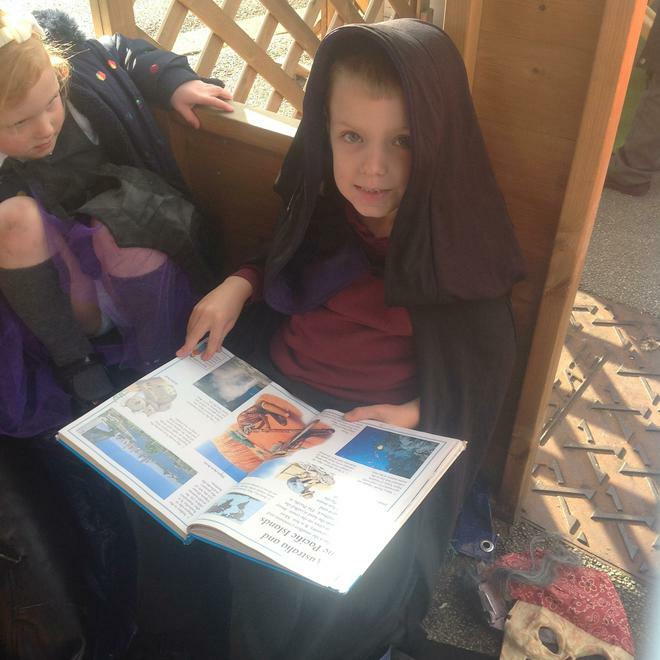 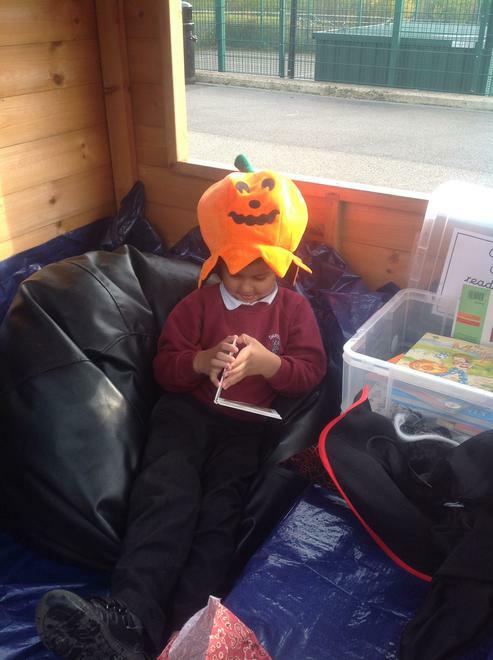 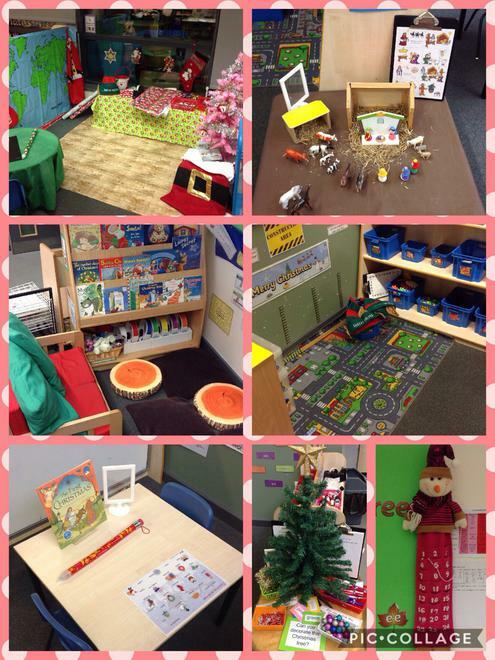 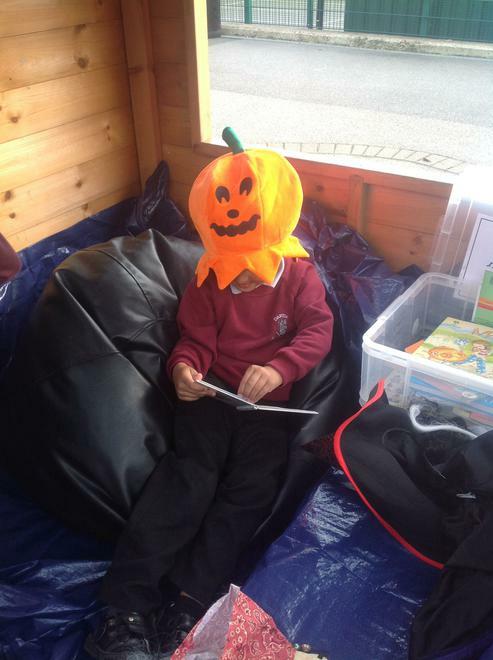 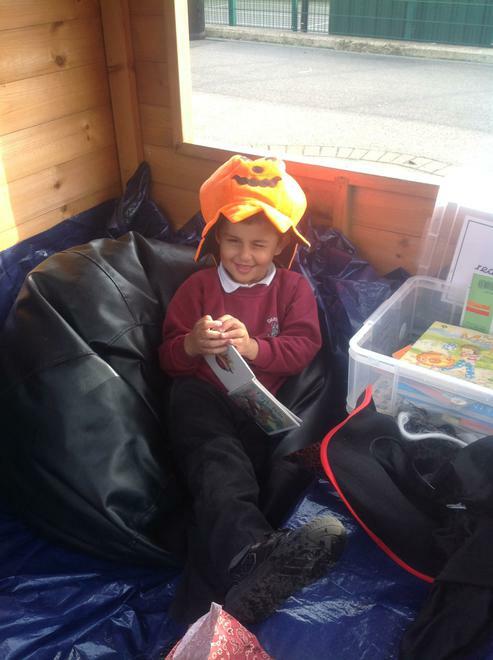 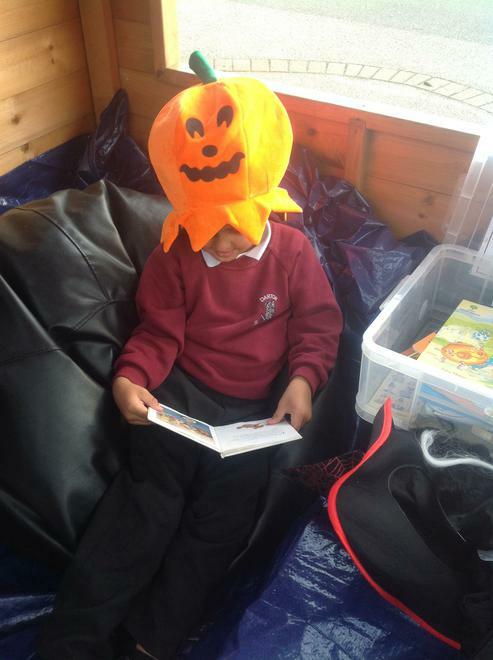 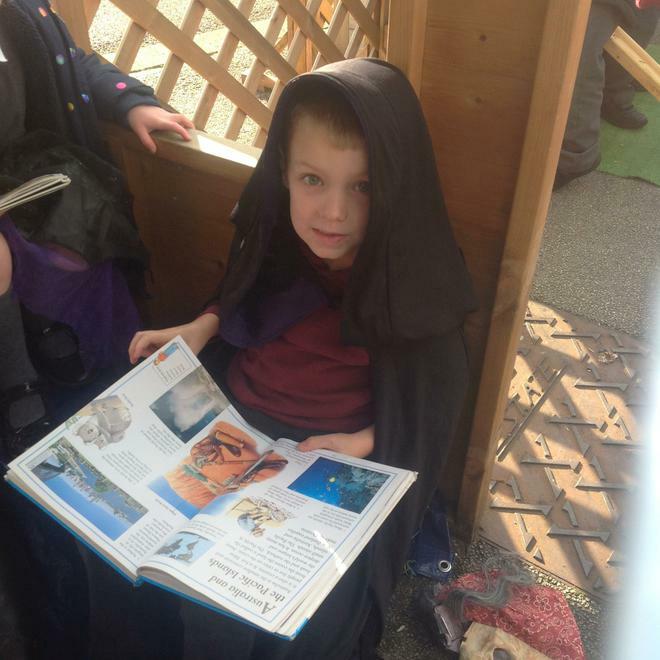 INDEPENDENT READING - Please keep promoting this love of reading at home! 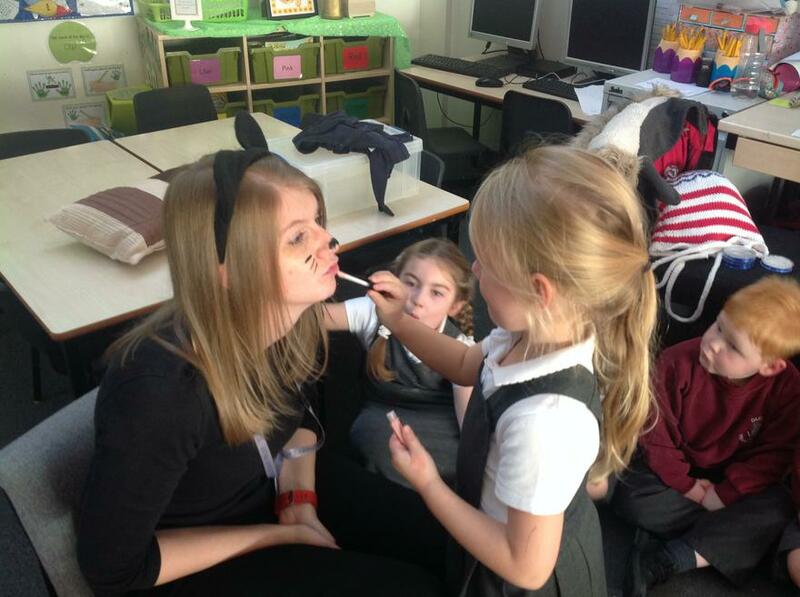 A big thank you to everyone that came to the curriculum event this afternoon. 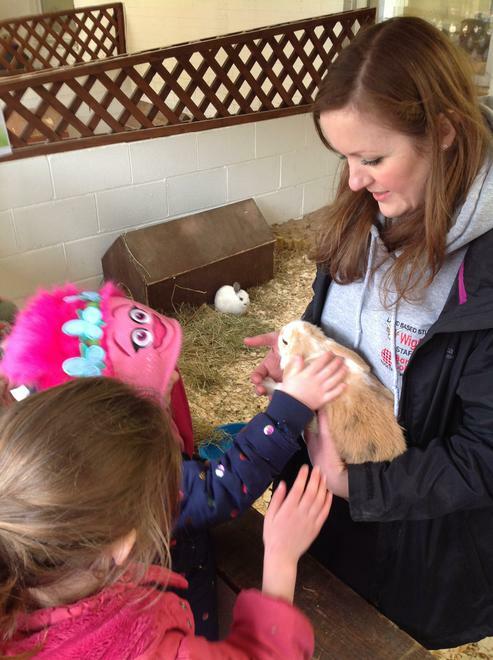 If you couldn't make it please see the Spring Term Curriculum Information Sheet. 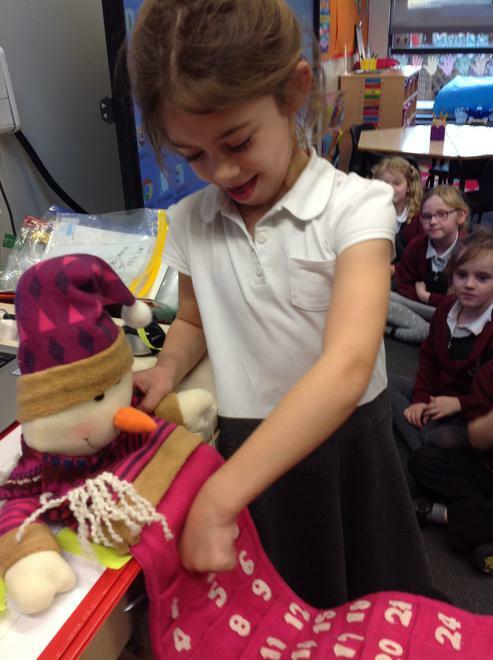 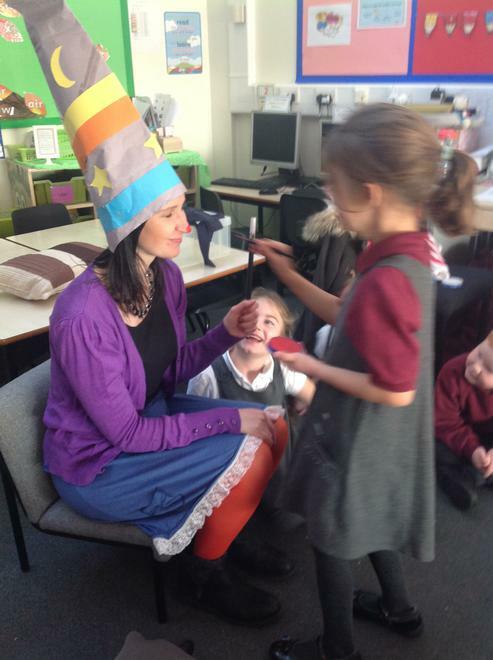 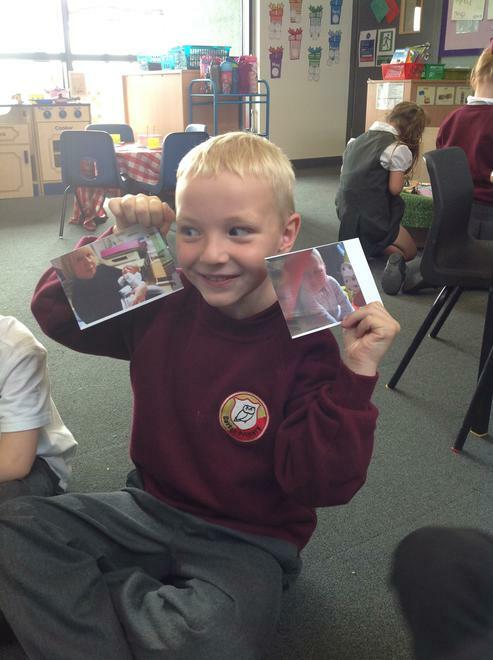 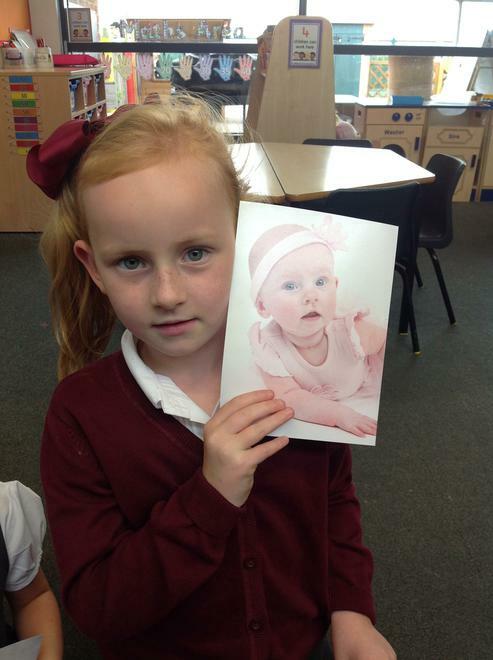 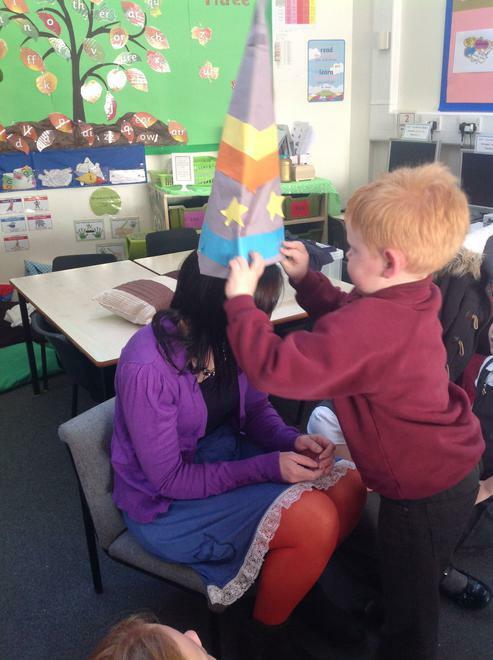 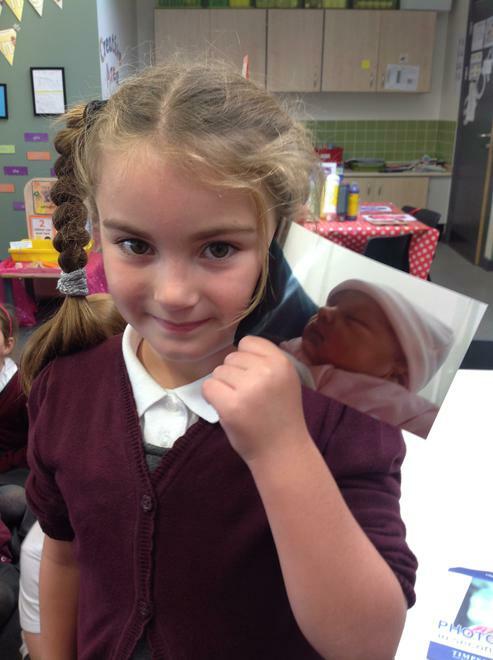 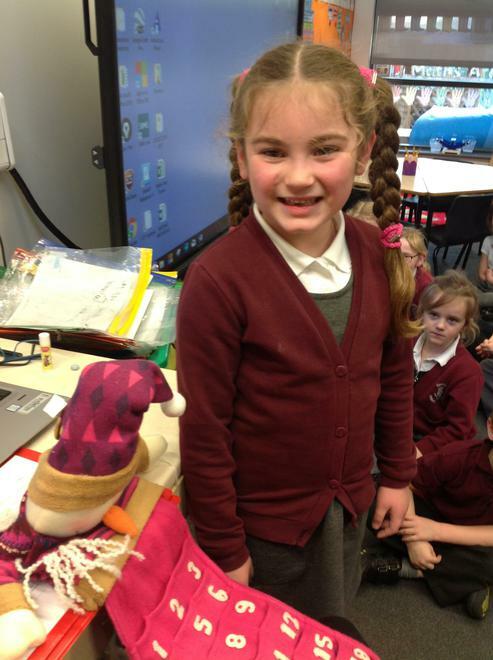 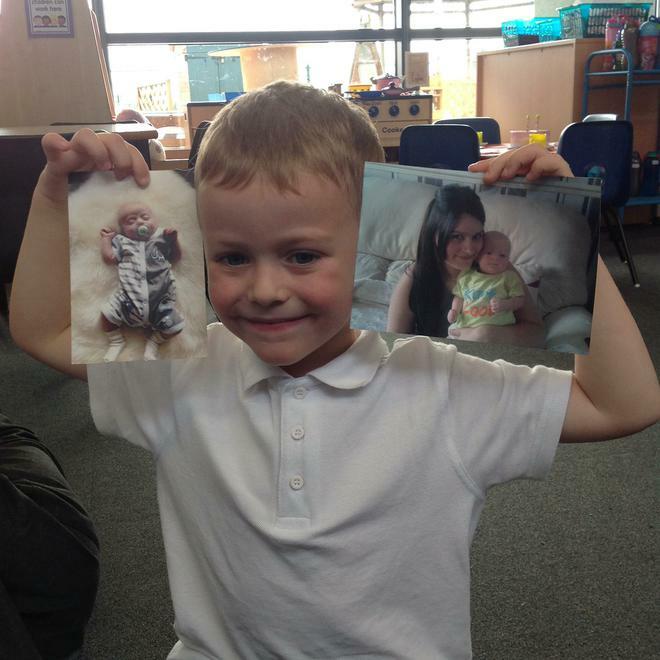 We had some great home learning for our Fairytales topic! 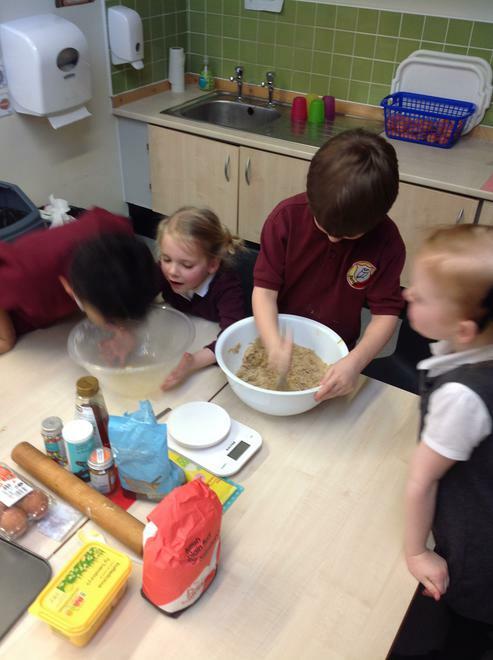 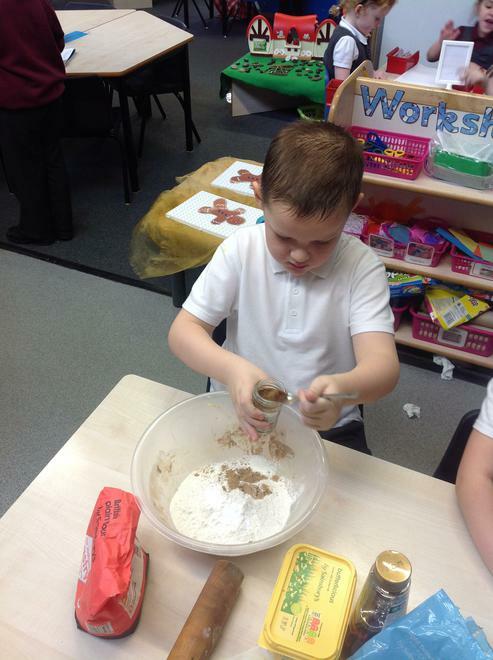 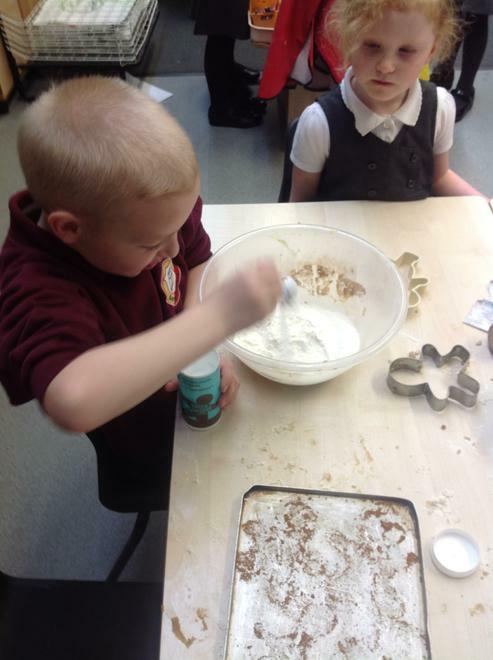 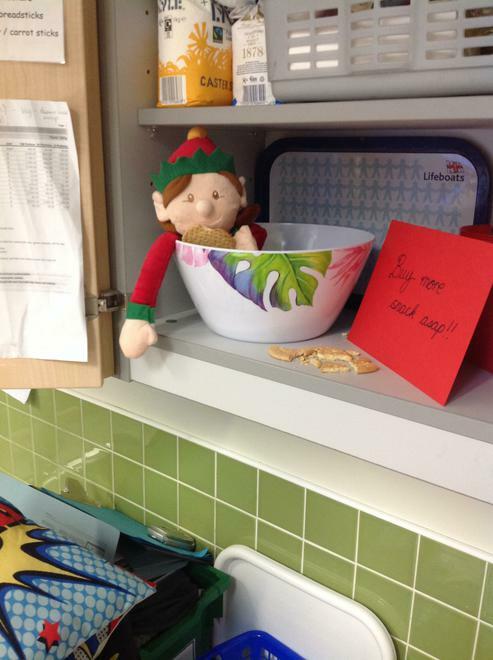 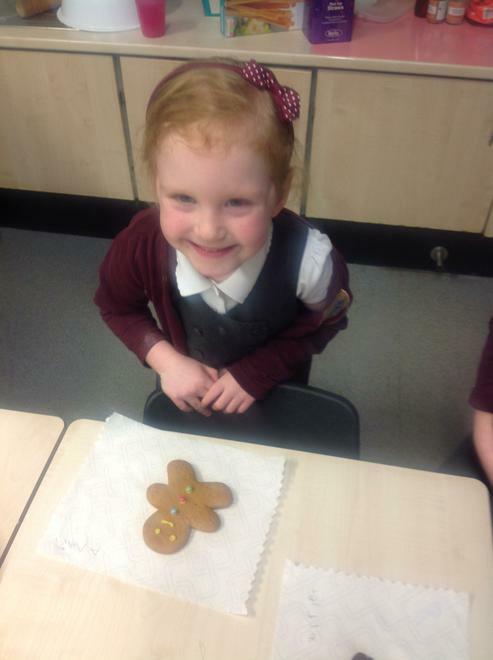 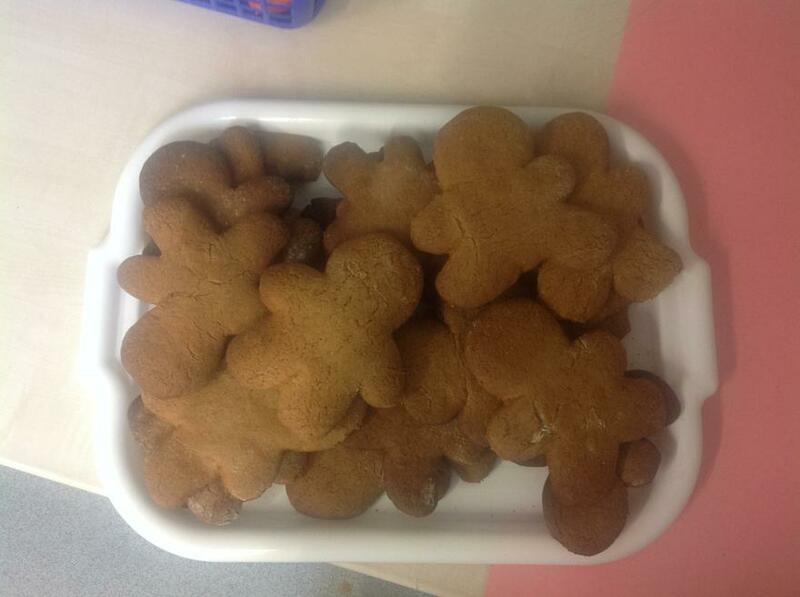 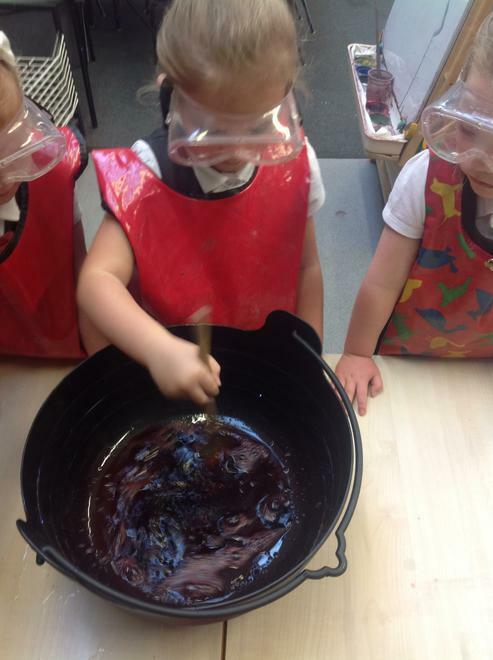 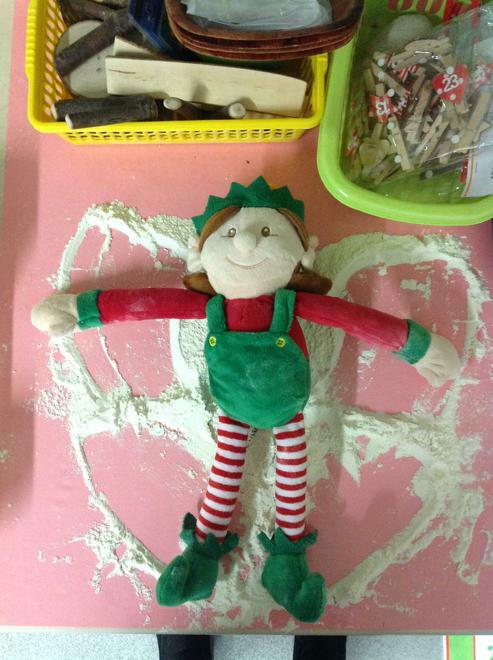 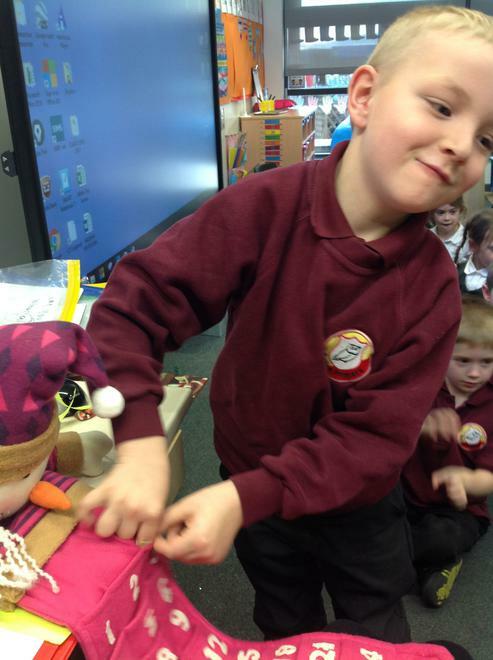 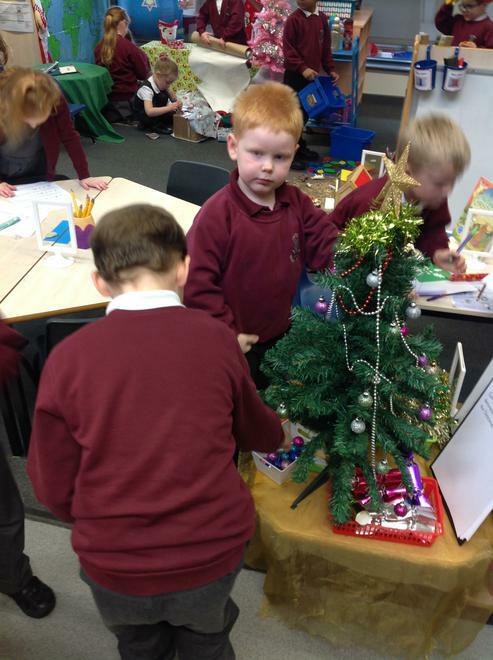 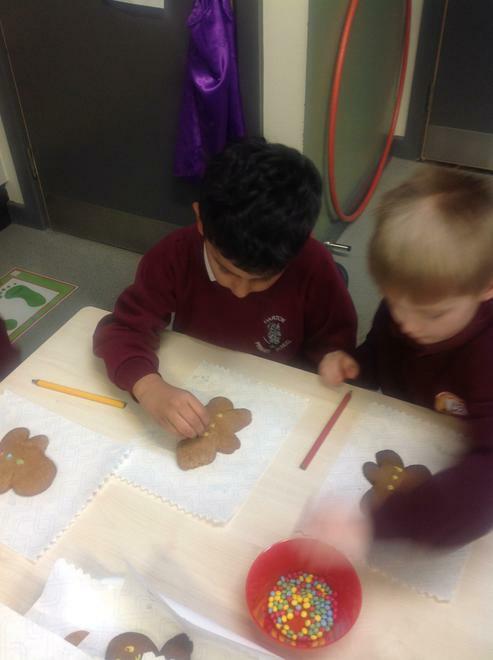 Baking our own Gingerbread Men was great fun! 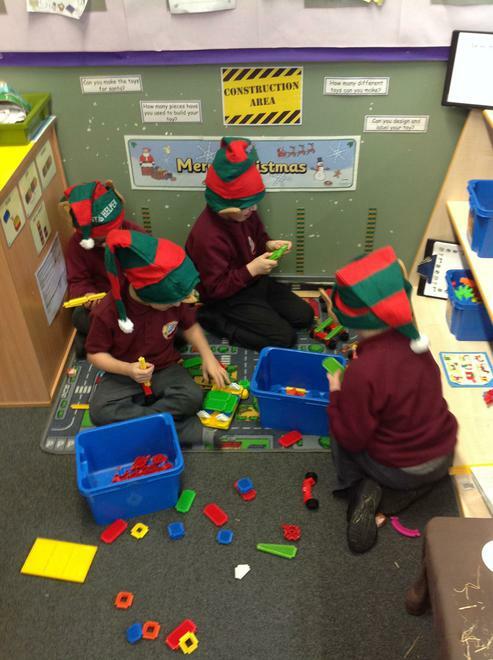 We are all excited to be back and working hard! 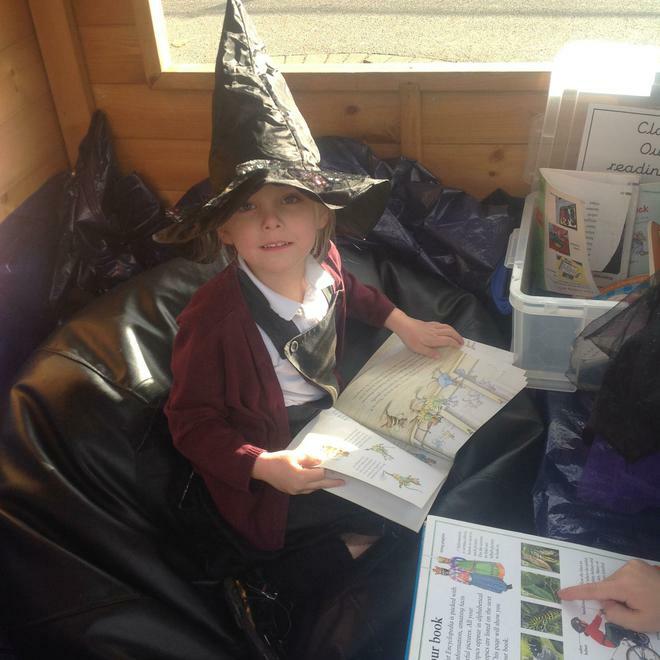 In Literacy we will be learning to write instructions, retells of fairytales, fairytales as plays, character descriptions and poems. 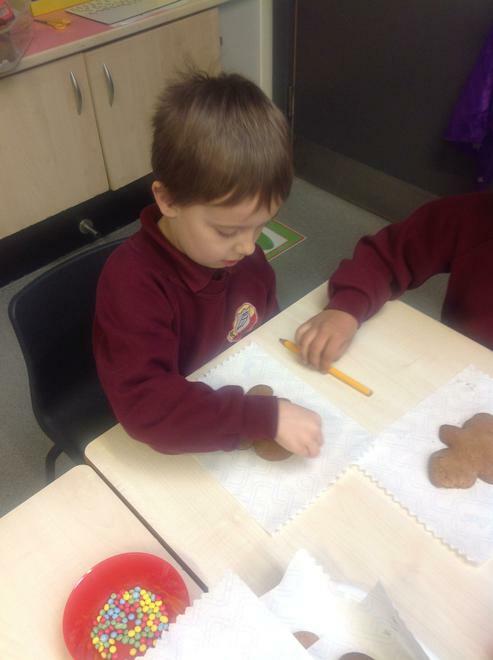 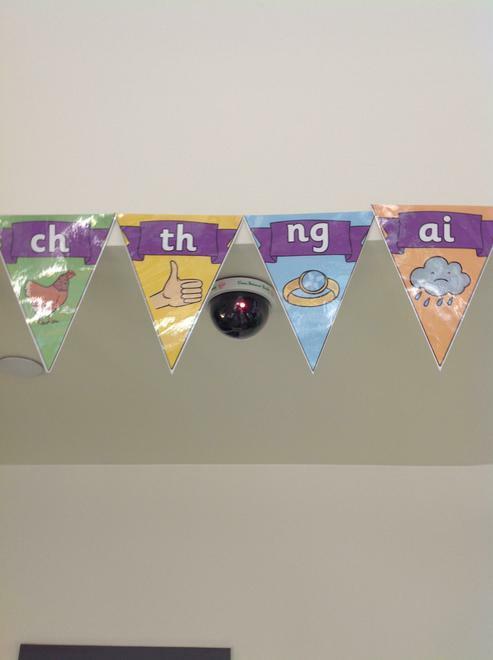 In Maths we will be learning to tell the time, recognise fractions of shapes (whole, halves and quarters) and fractions of quantities (halves and quarters), counting in 2s, 5s and 10s, addition, subtraction, multiplication and division as well as learning about measure including length and height. 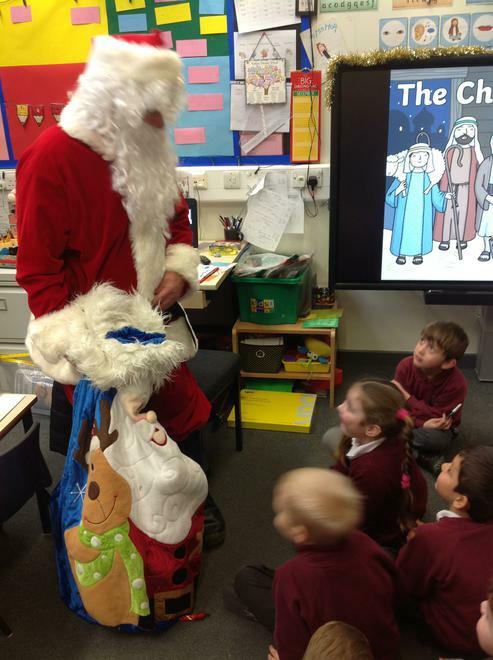 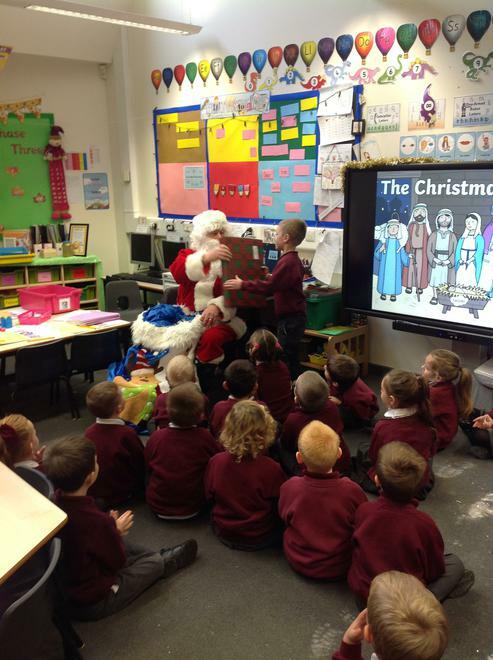 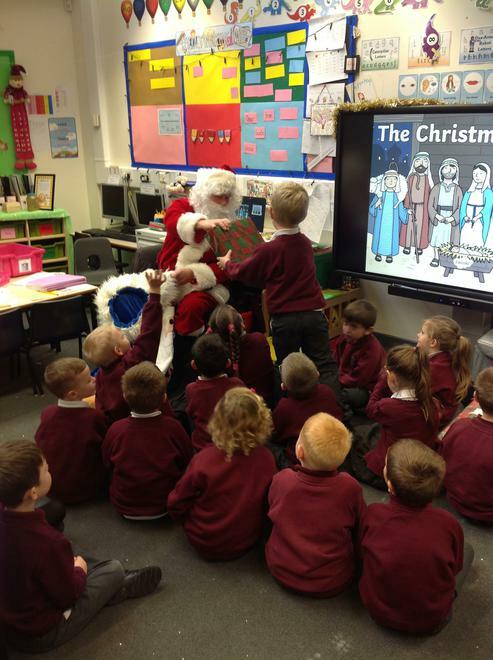 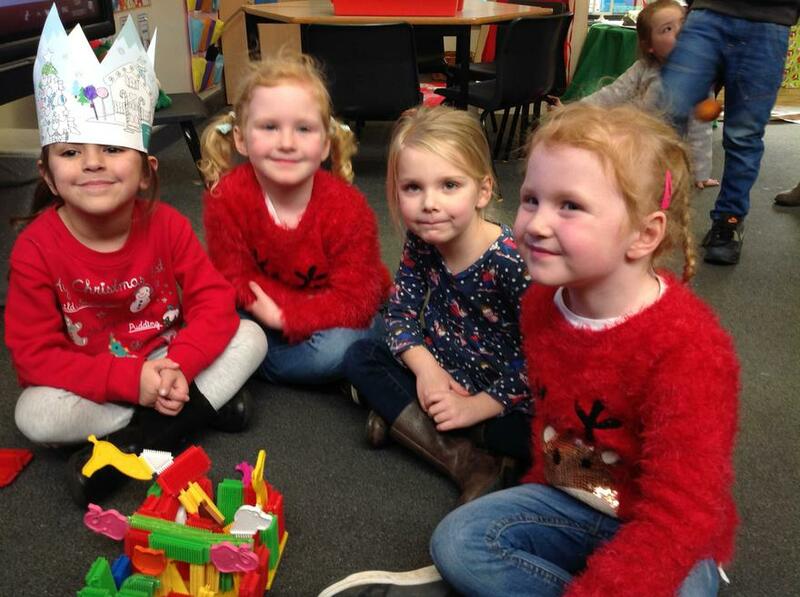 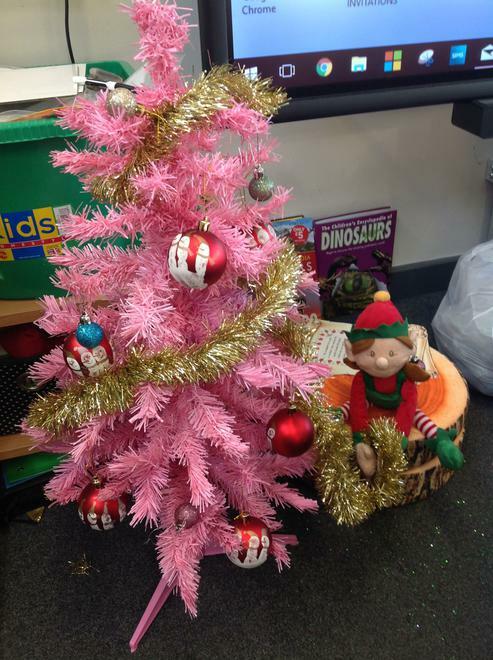 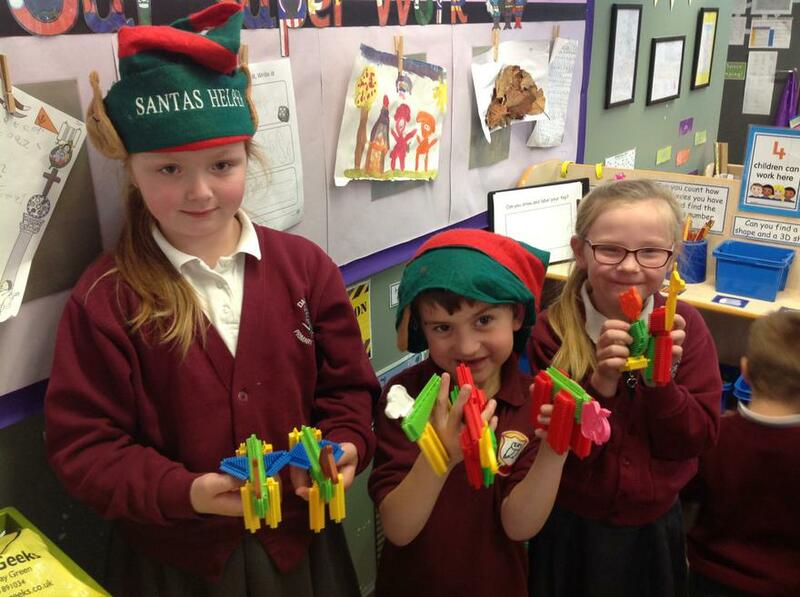 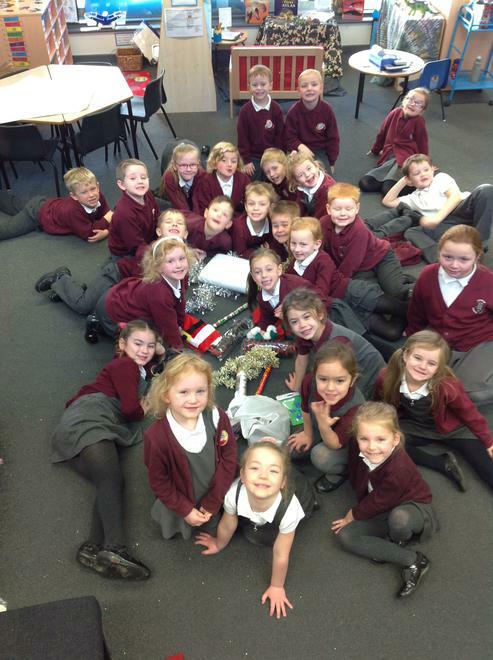 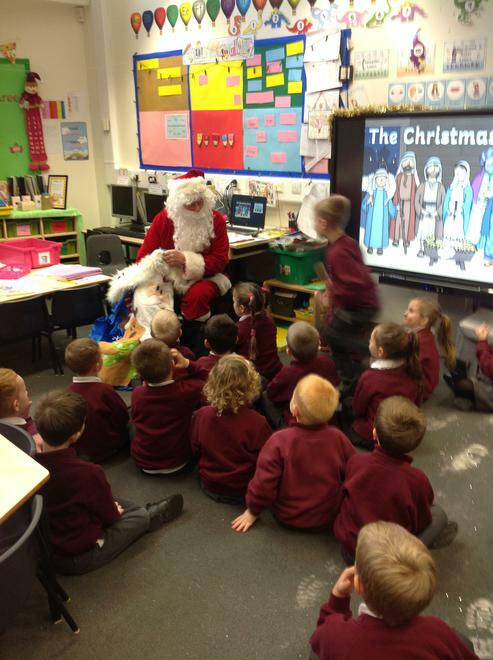 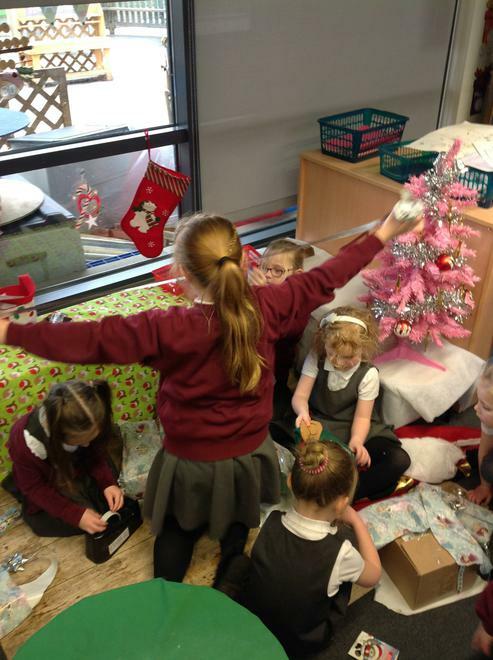 What a fun filled run up to Christmas we had! 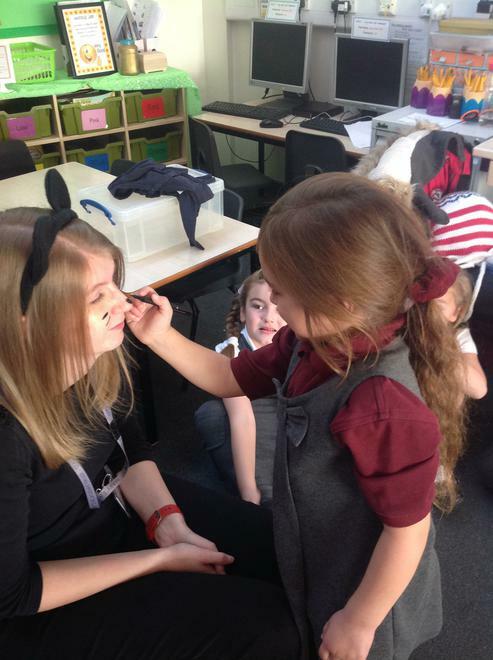 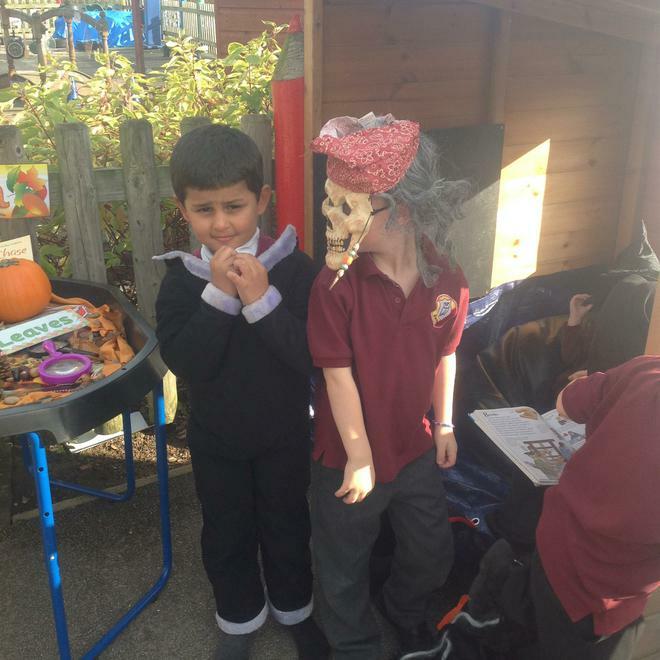 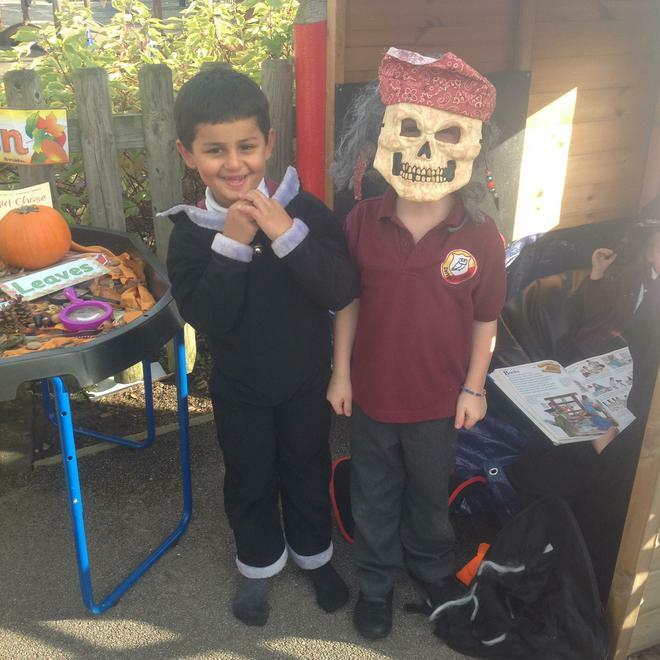 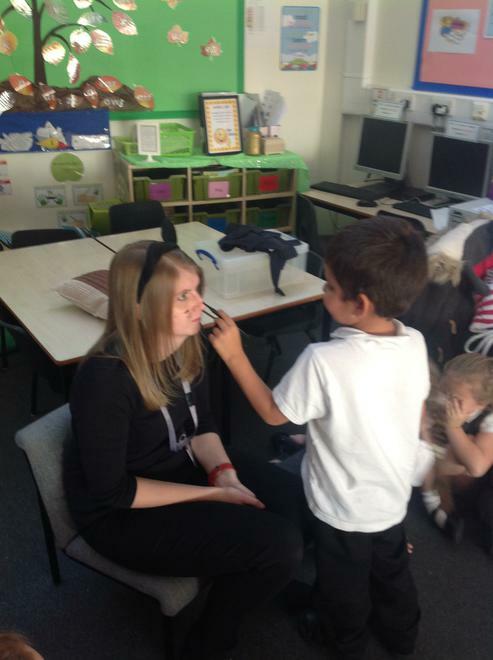 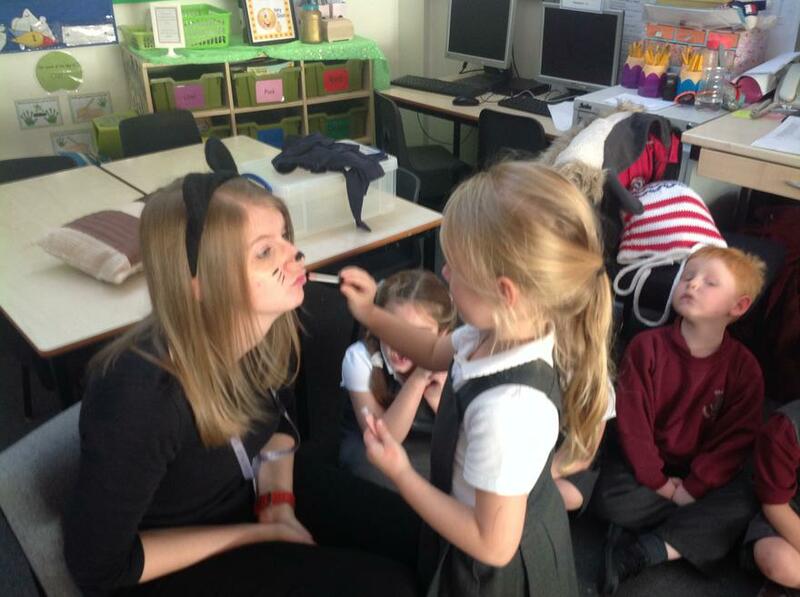 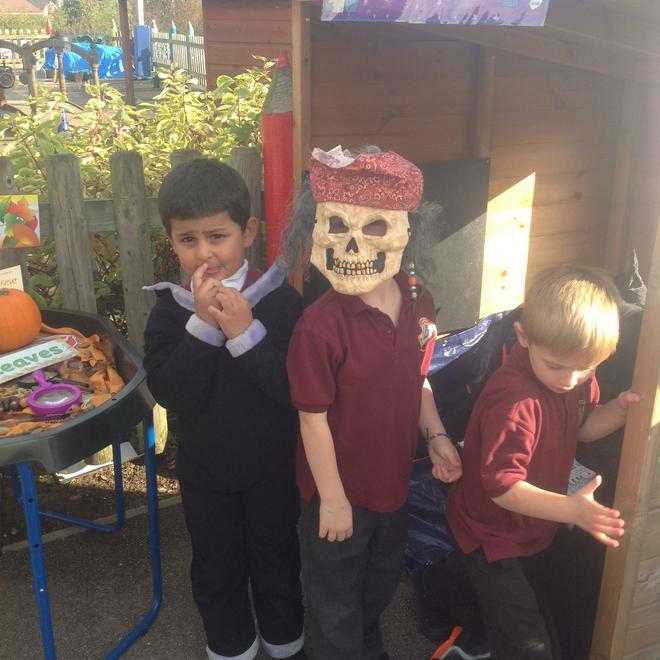 Throughout our topic of Halloween we have been carrying out experiments and investigations, learning about the history of Halloween, writing character descriptions and recognising 3D shapes. 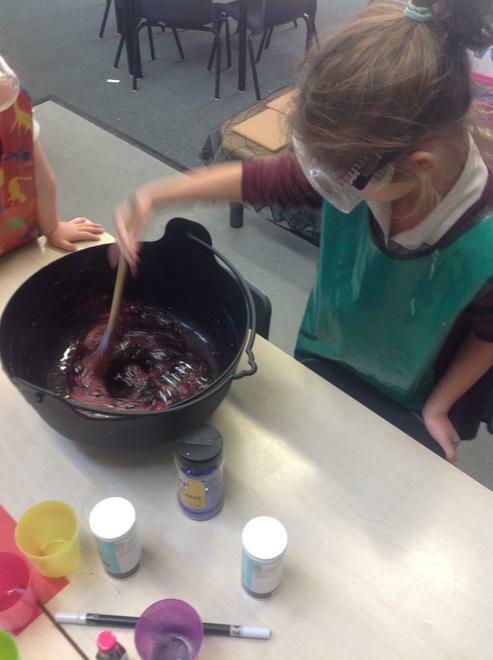 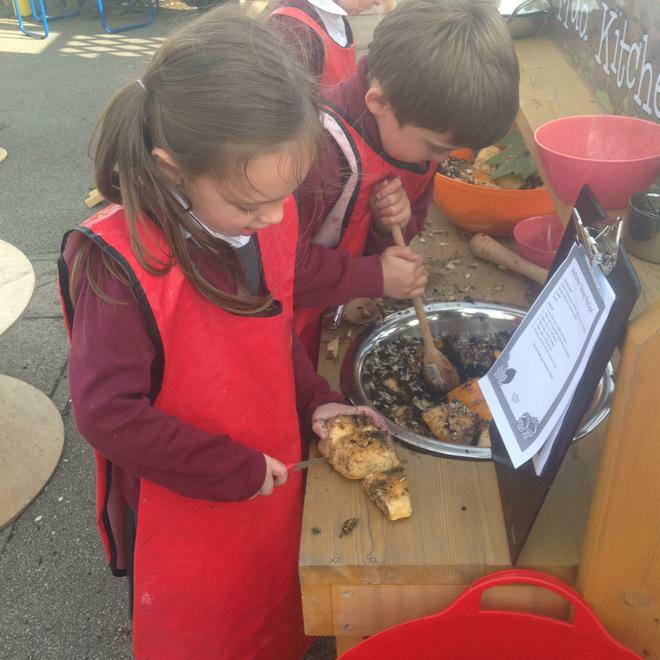 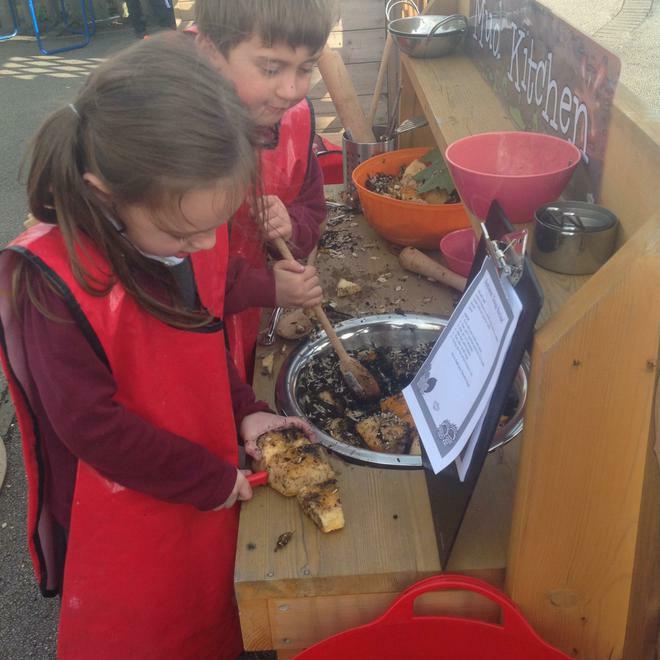 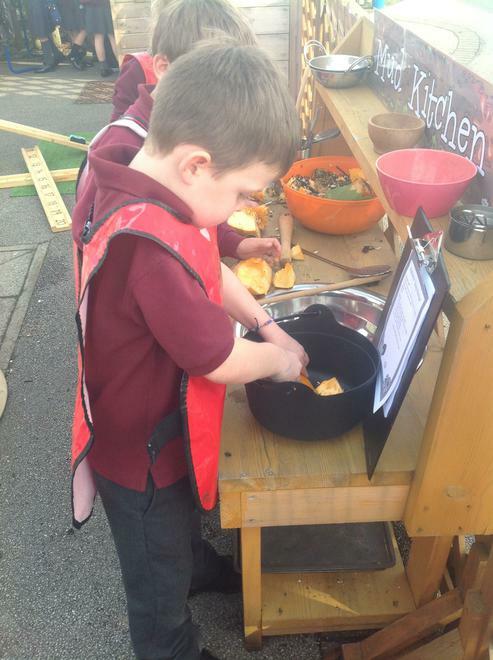 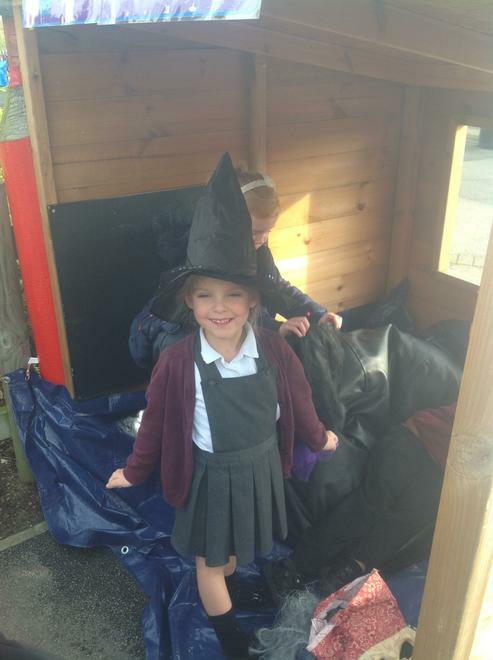 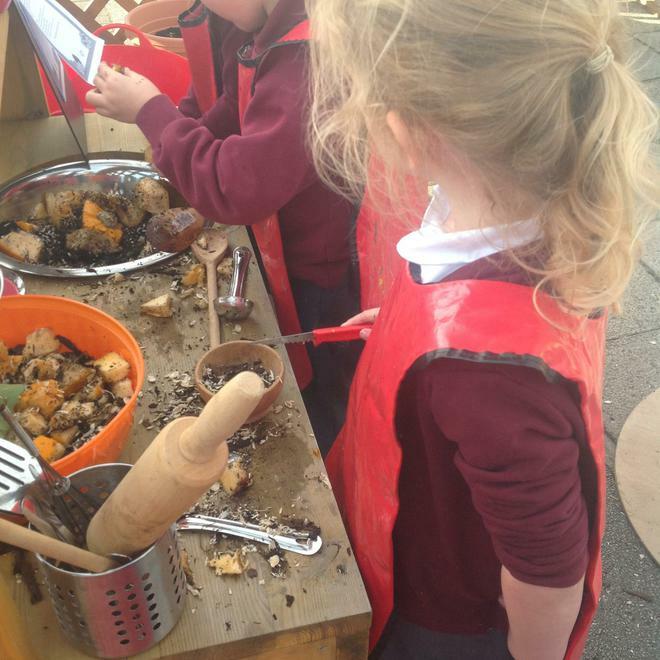 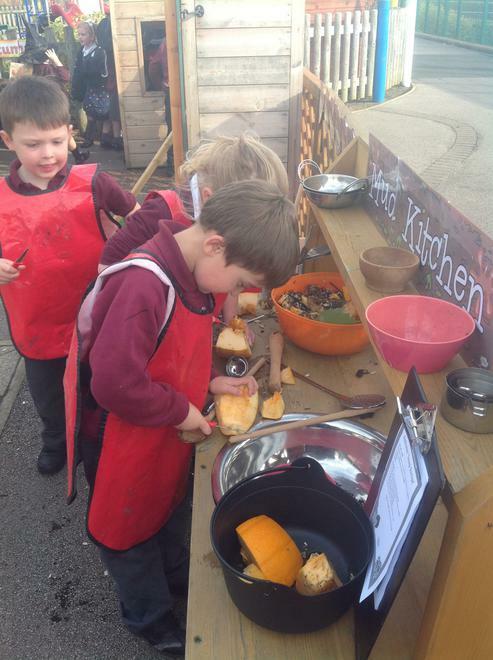 Not only that but we have done some amazing independent writing in our 'Potion Lab' role play area and made pumpkin pies in our mud kitchen by following written instructions. 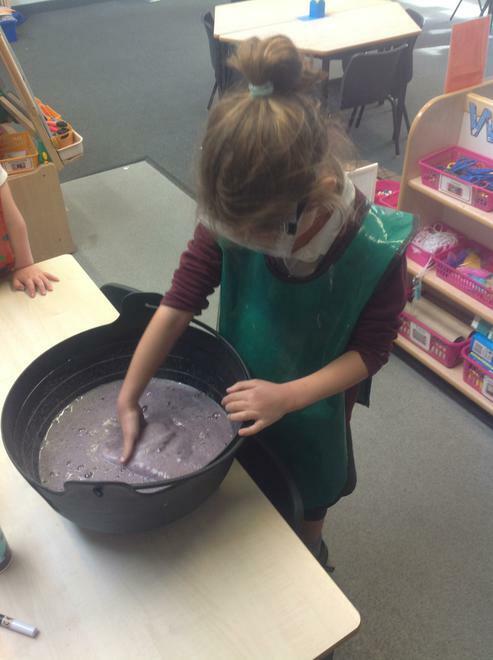 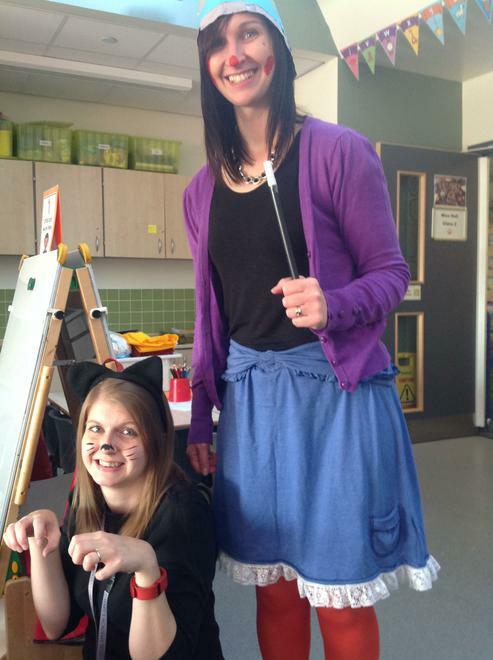 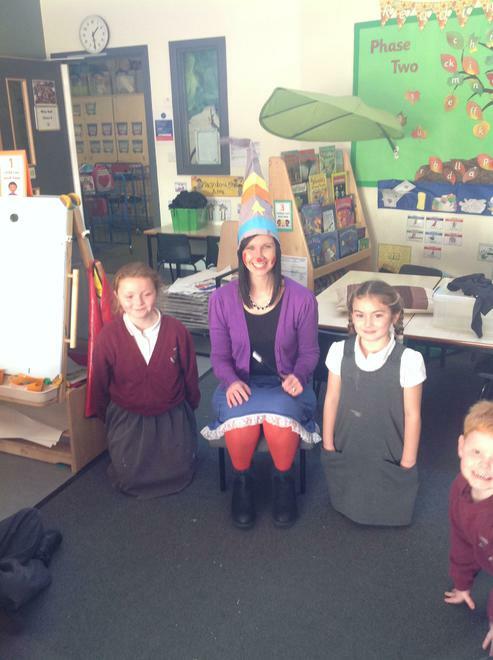 FULL MARBLE JAR = DRESS OUR TEACHERS UP FOR HALLOWEEN! 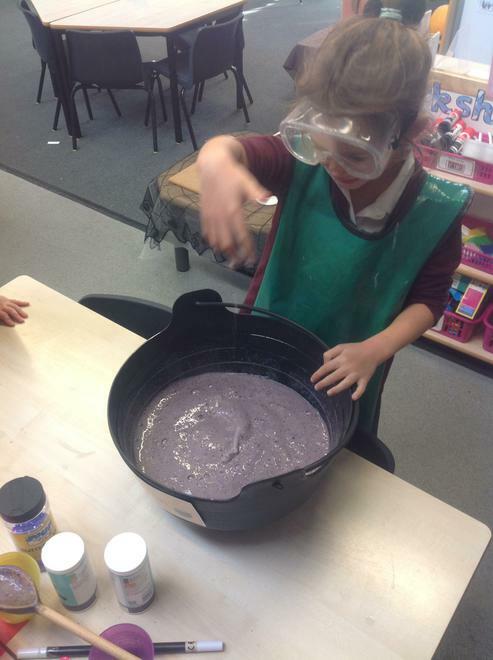 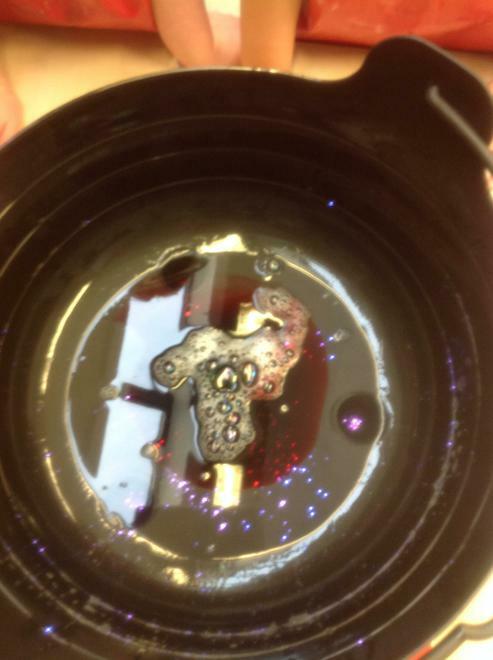 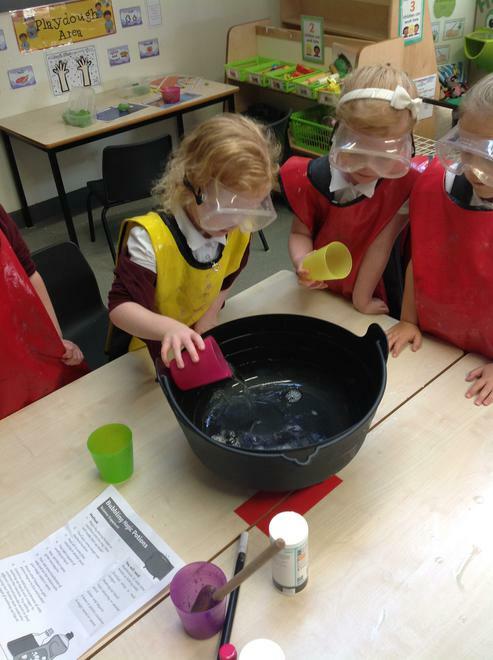 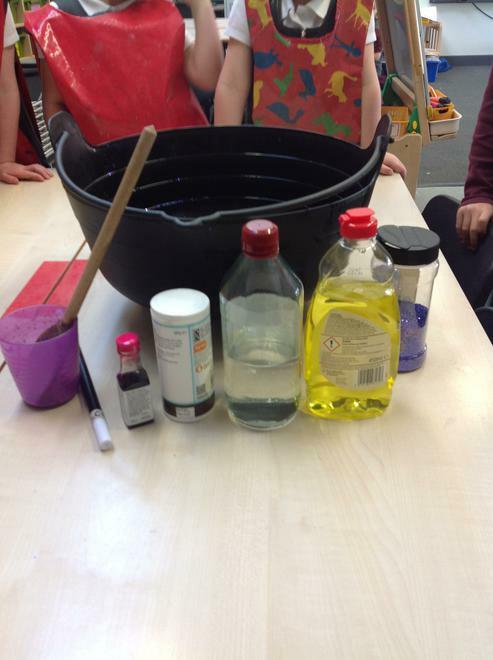 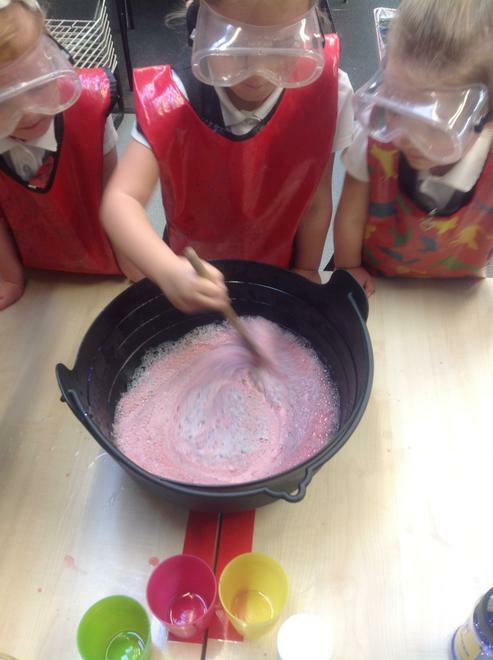 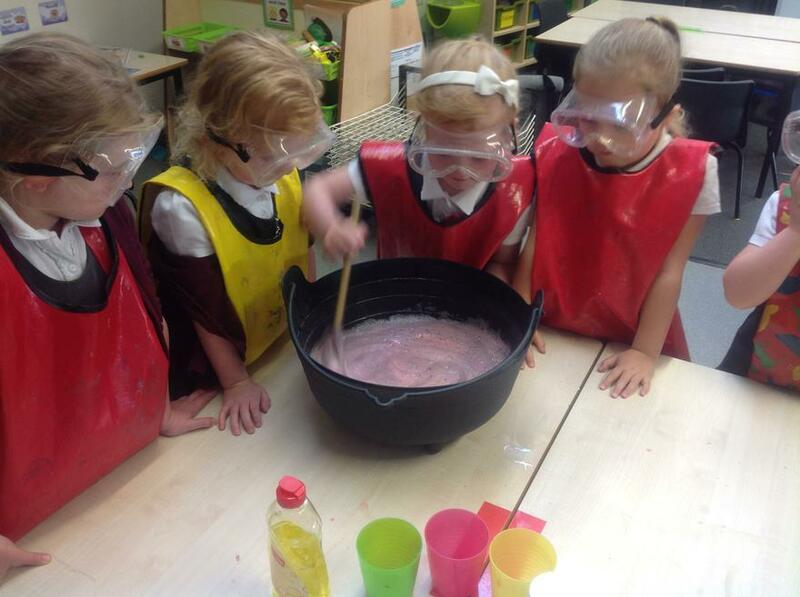 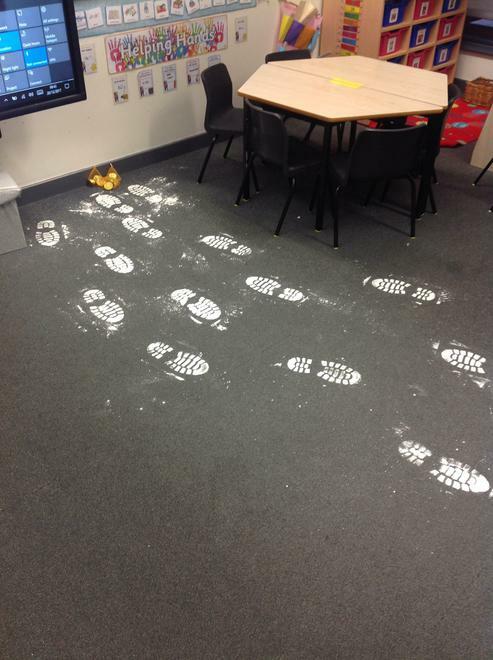 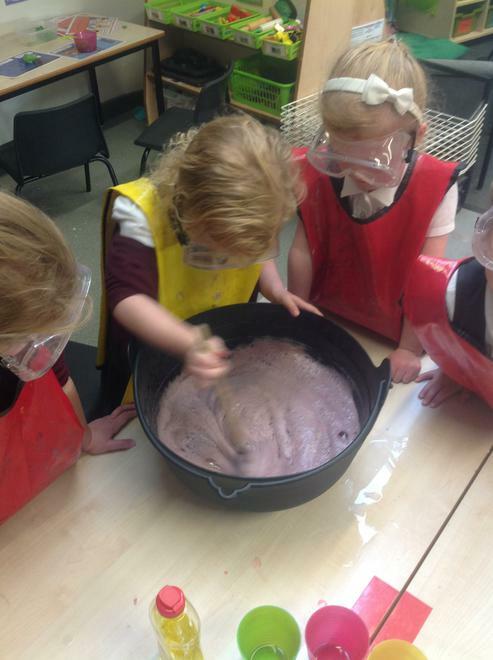 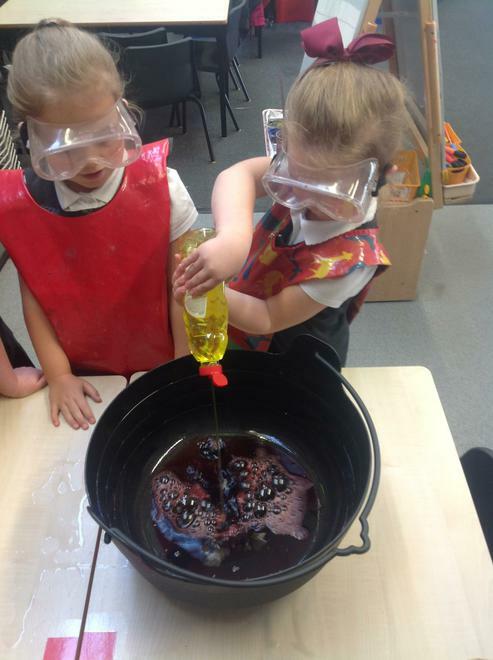 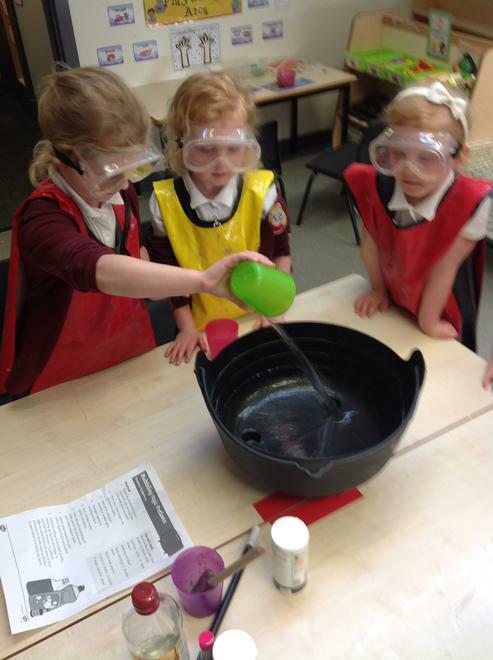 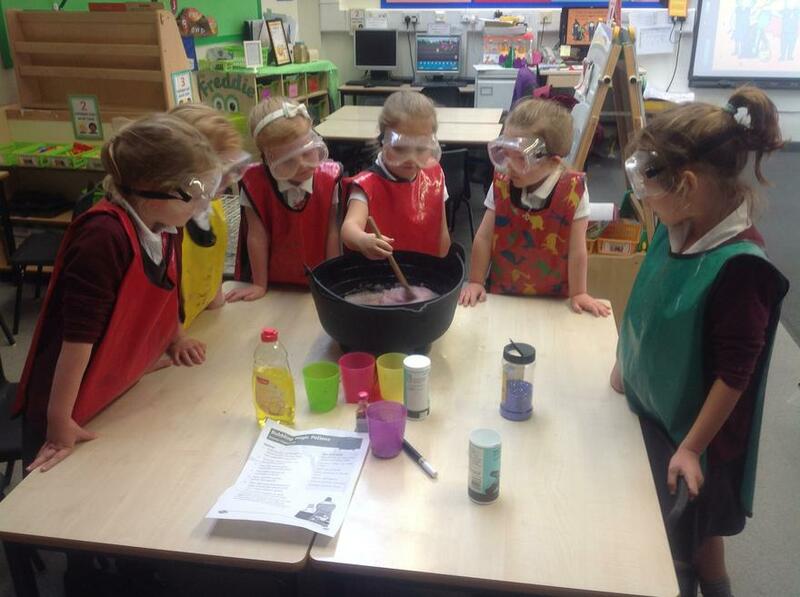 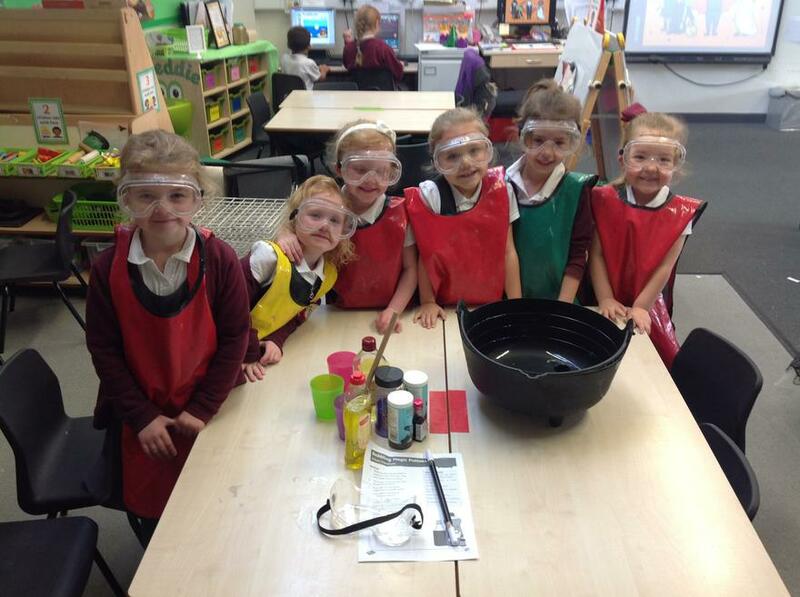 Our Science experiment was so much fun! 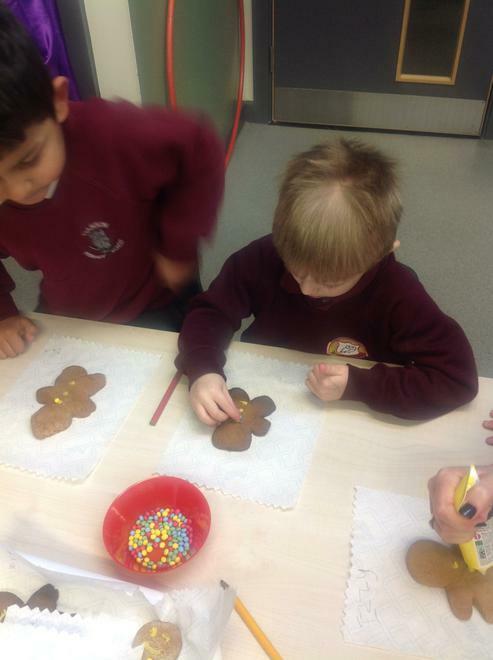 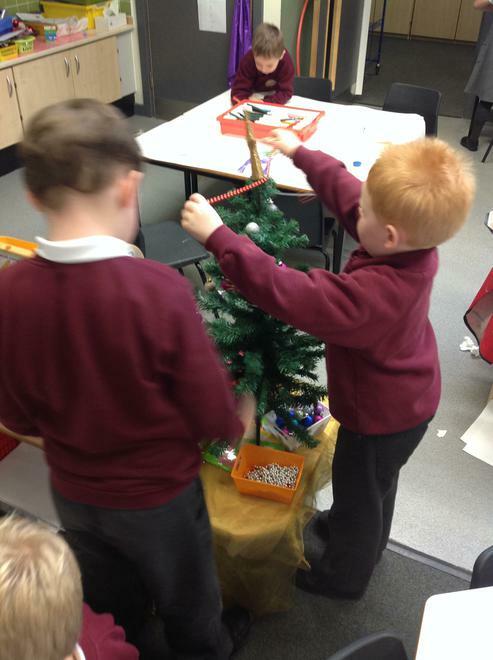 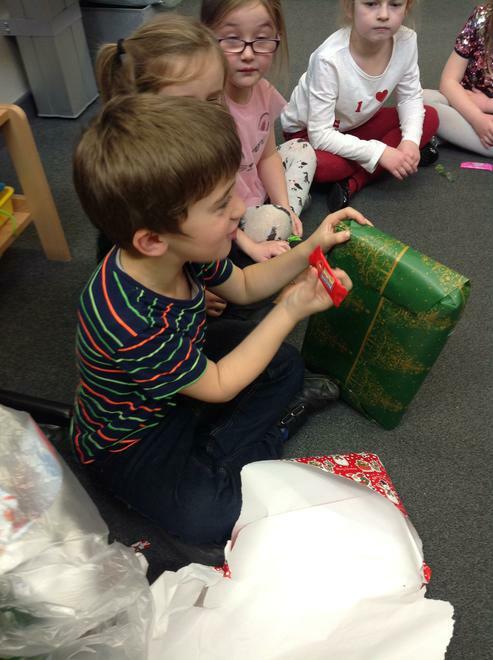 We enjoyed learning about Diwali and the way different cultures celebrate! 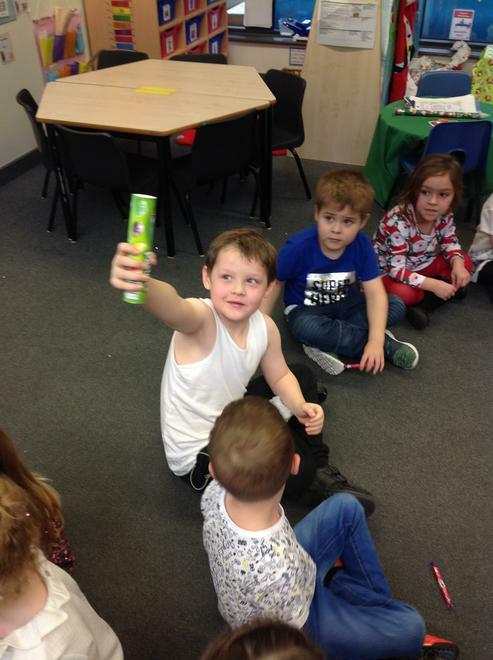 We have been learning how important it is to exercise and how our bodies change when we do it. 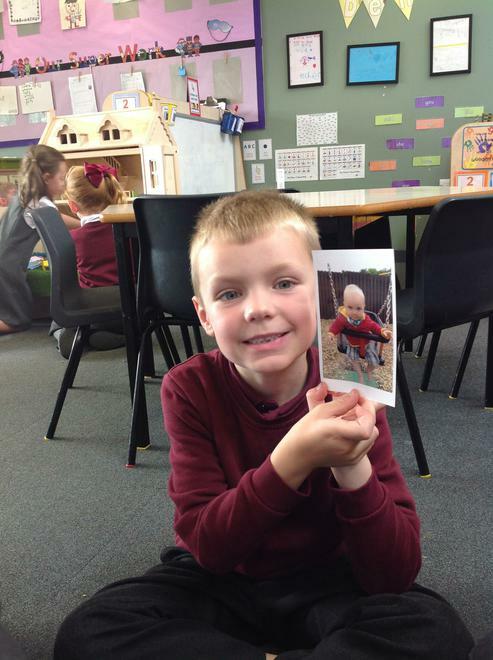 Our topic for the next two weeks is 'The Complete Athlete'. 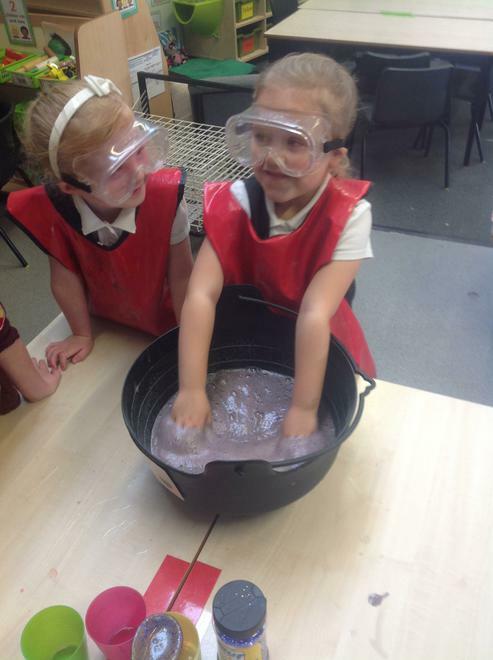 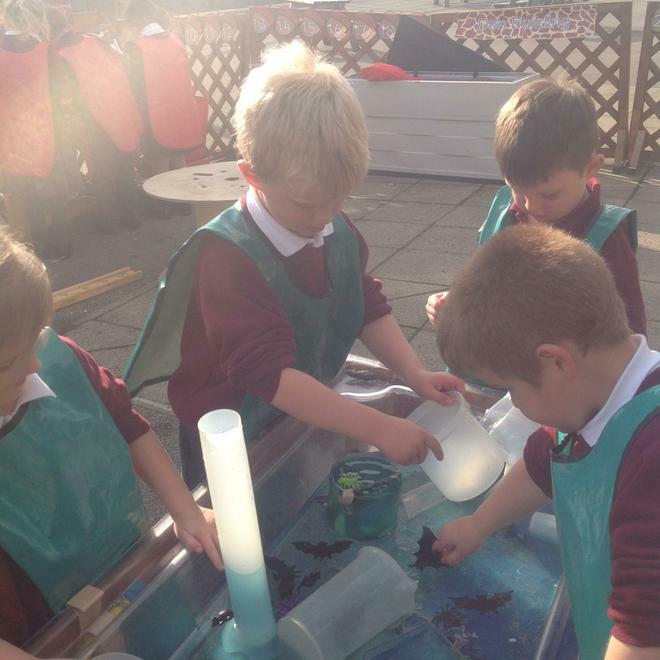 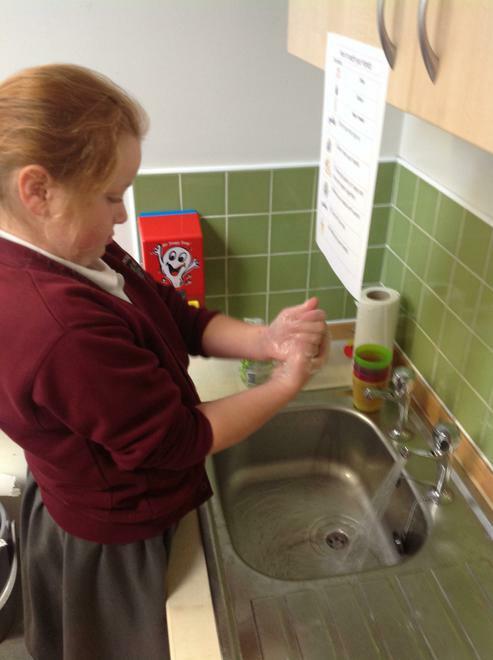 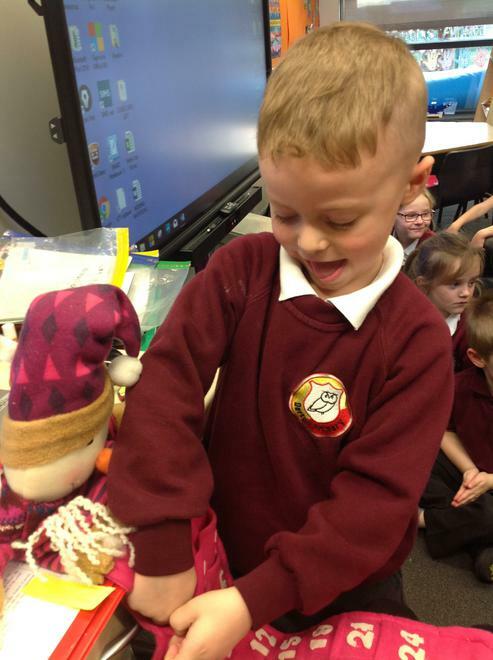 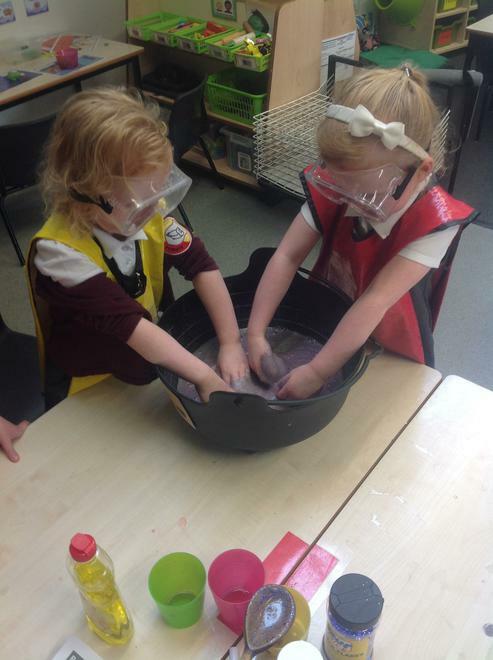 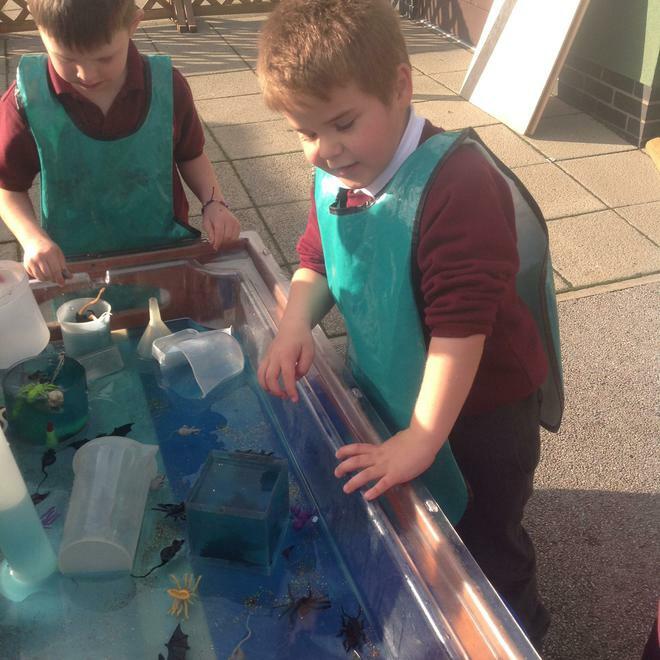 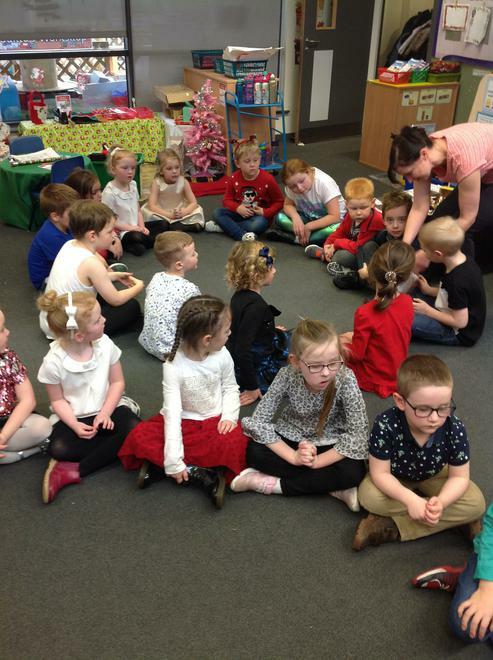 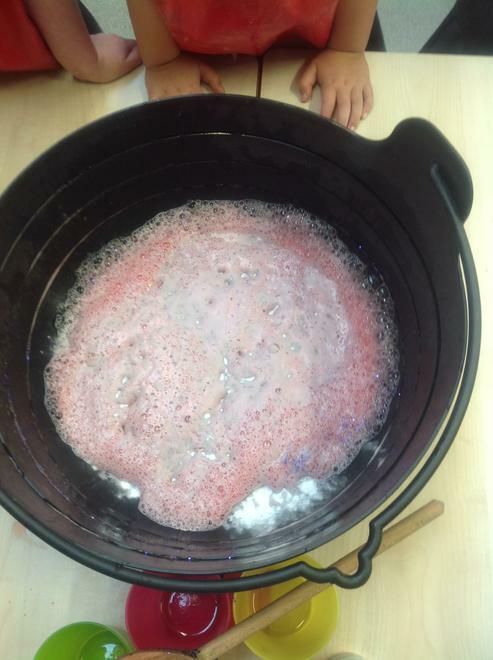 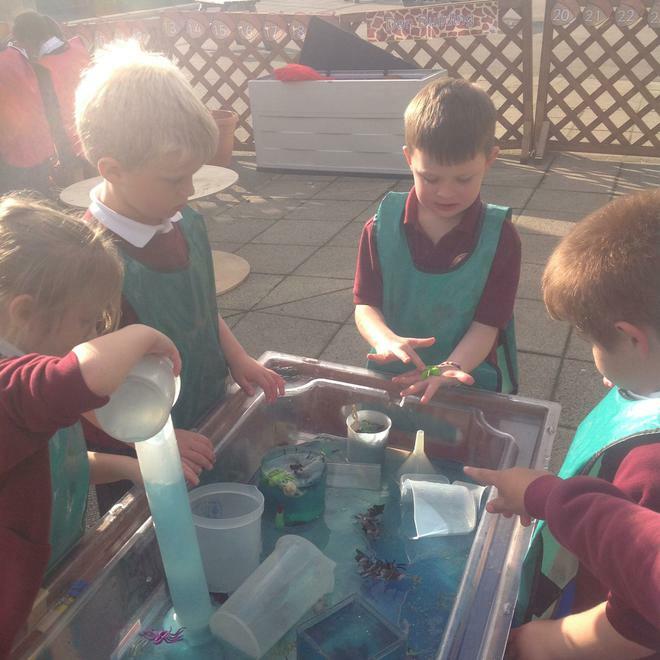 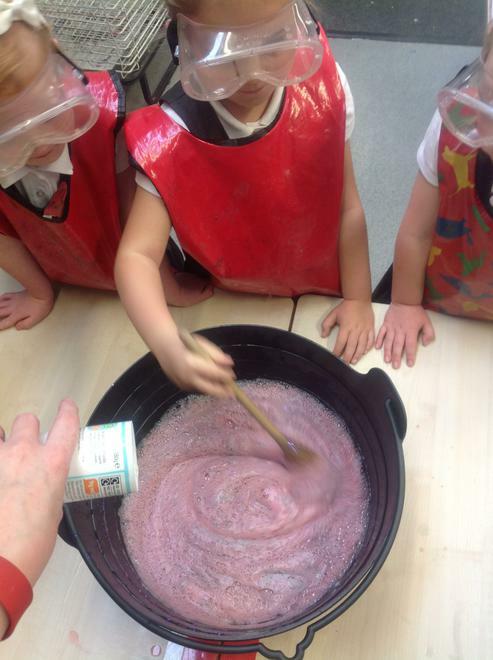 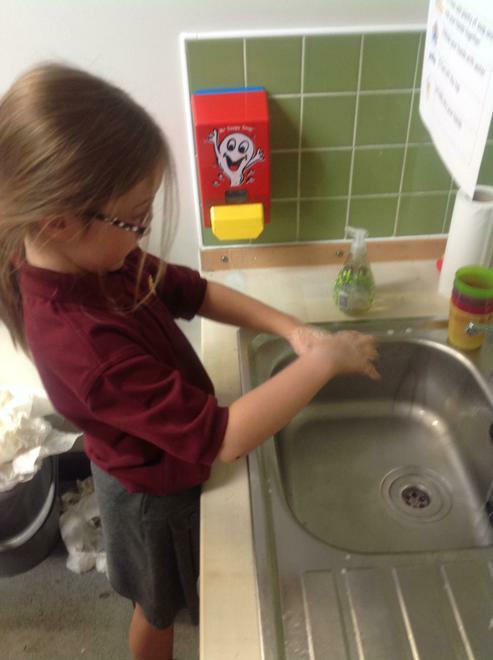 The children have been learning about germs and how quickly they spread and the importance of washing our hands. 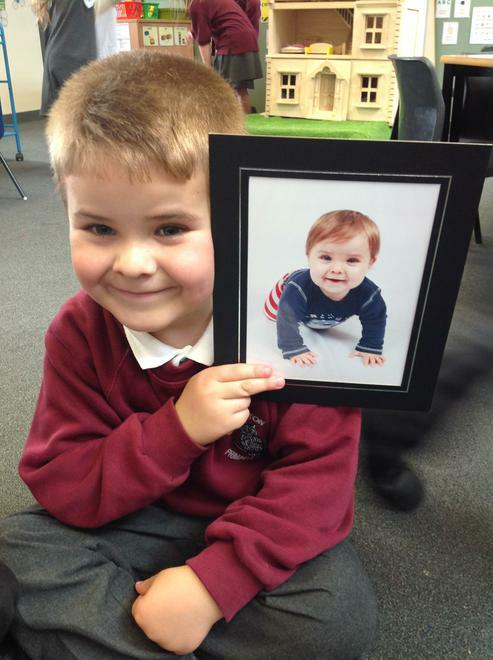 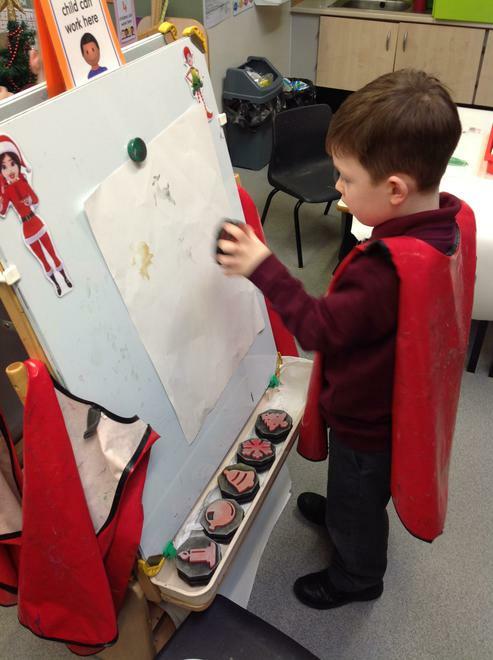 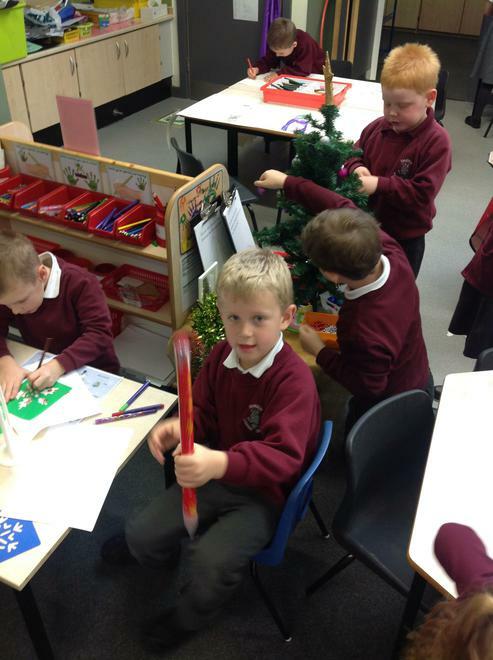 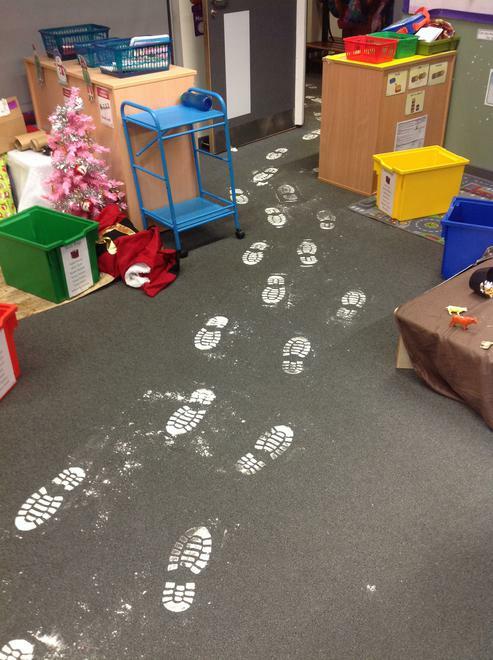 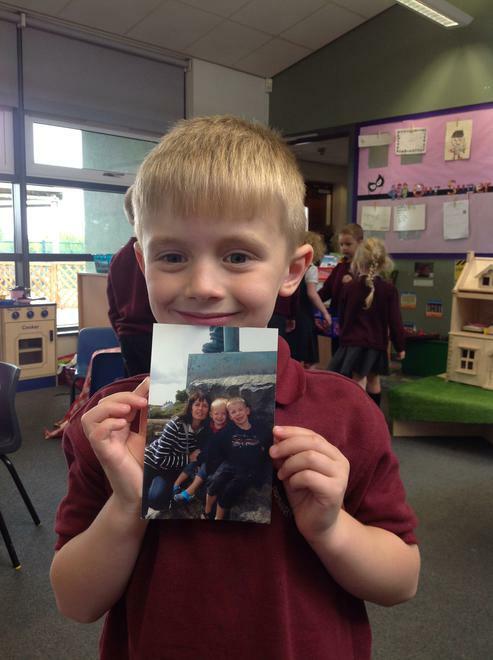 We have been ordering simple instructions and following them to create wonderful pictures in our creative area. 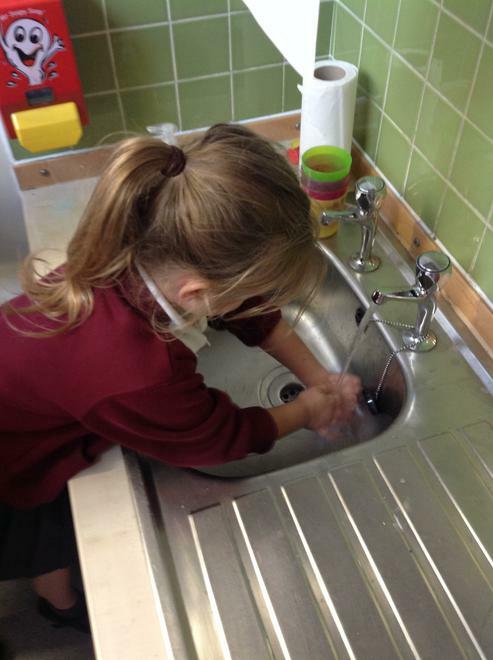 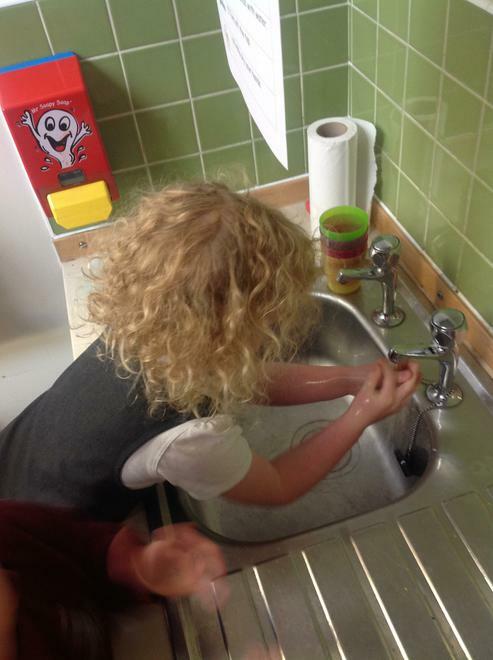 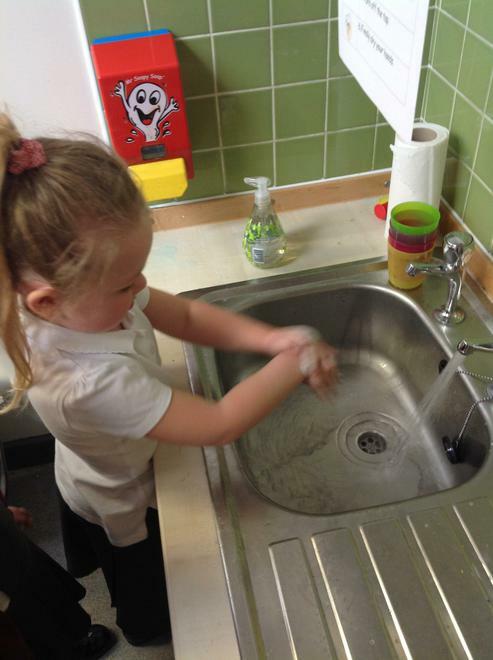 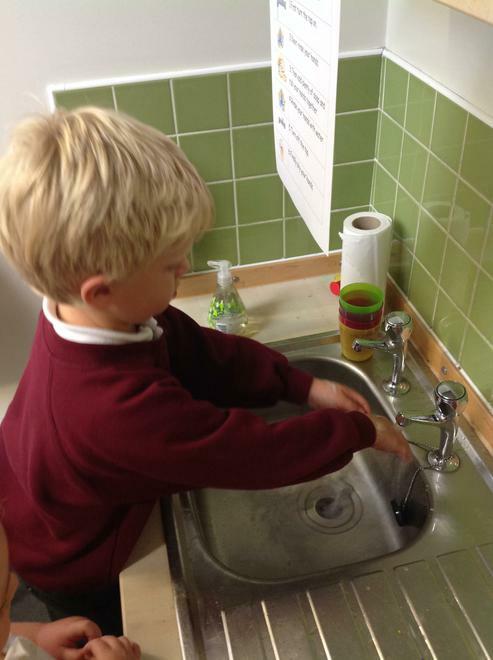 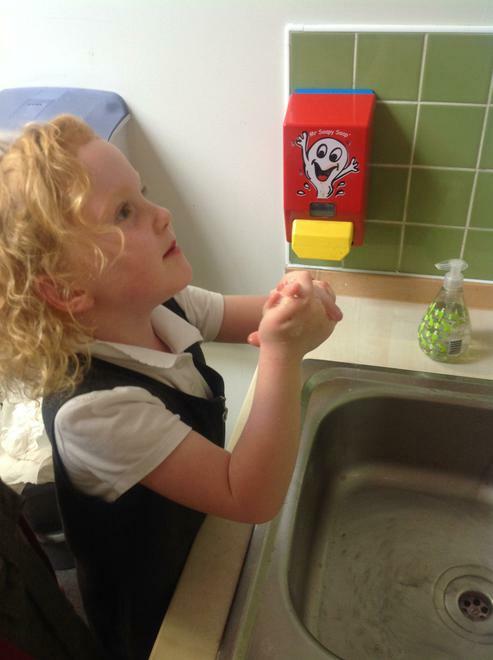 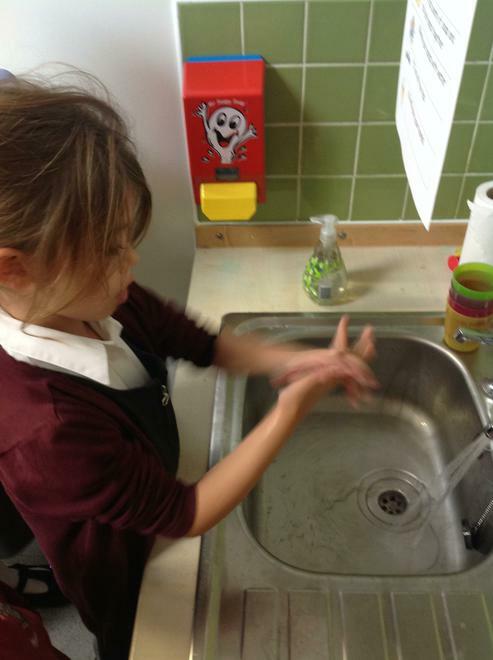 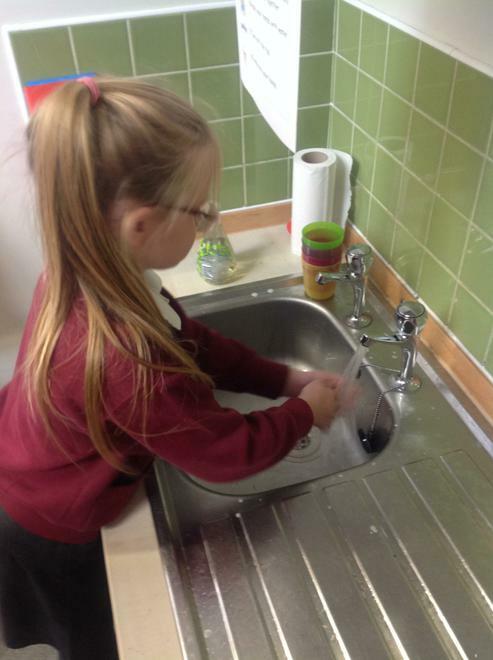 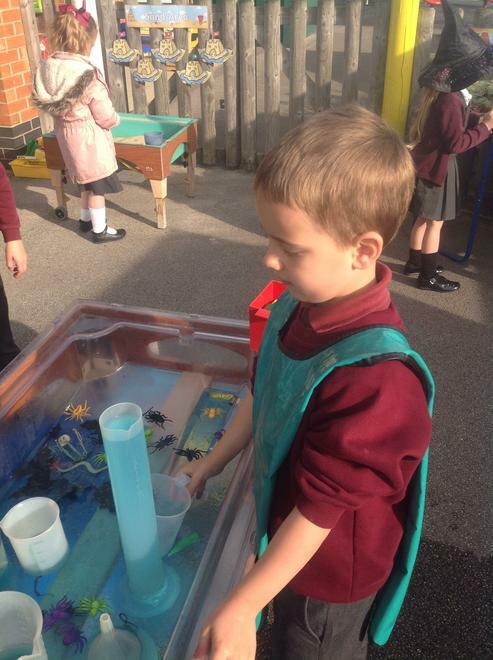 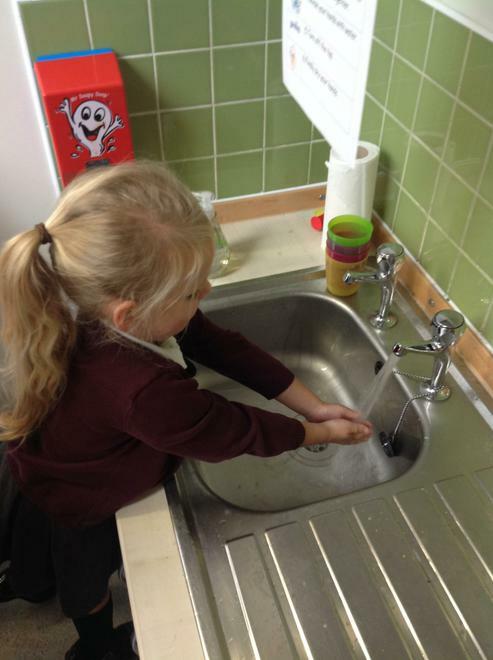 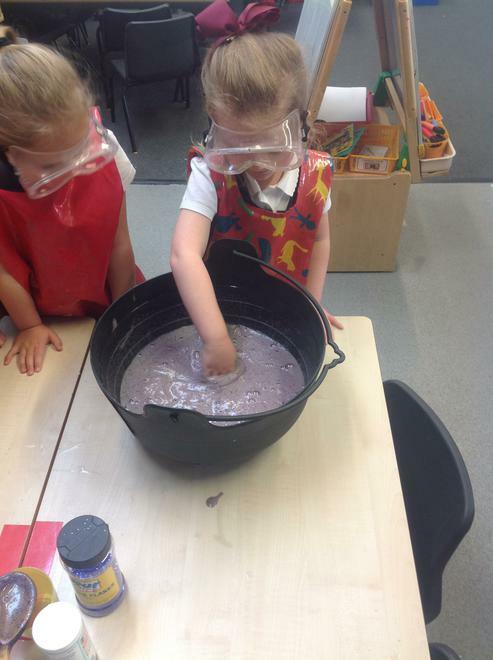 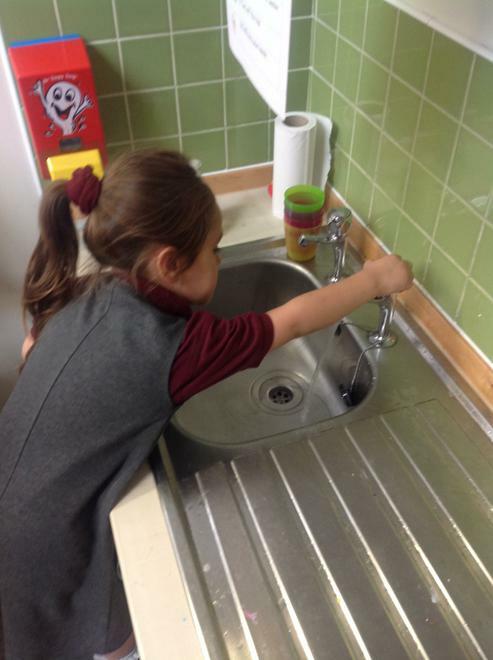 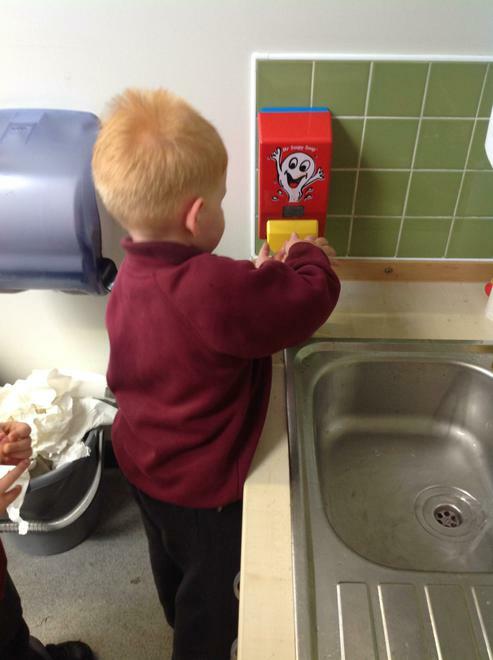 We have also been making sure we follow every instruction, in order, when washing our hands! 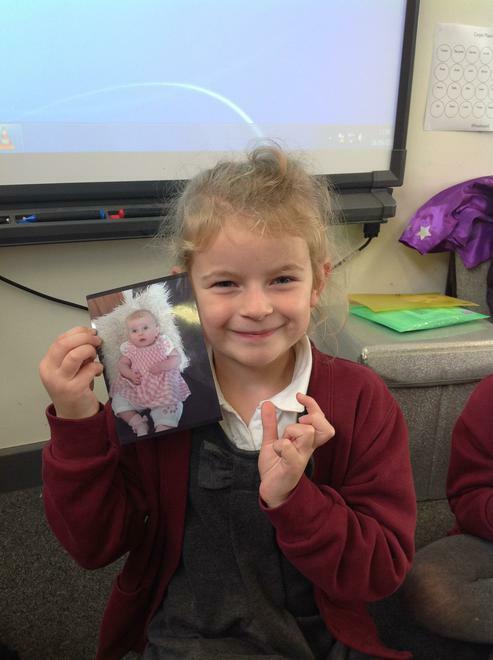 In literacy we have been writing simple instructions - remembering to use capital letters, finger spaces and full stops. 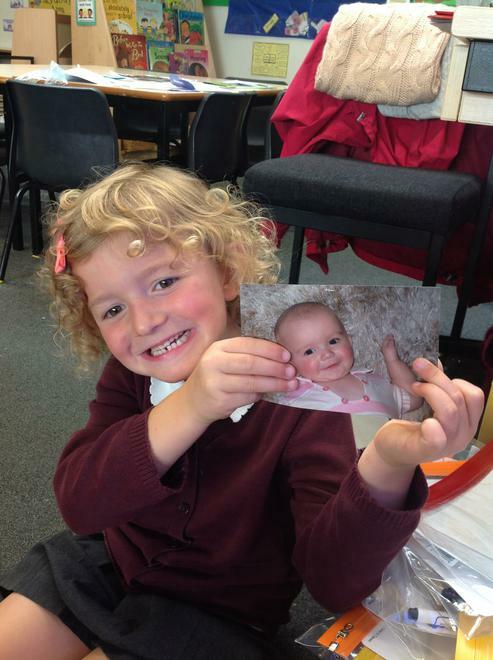 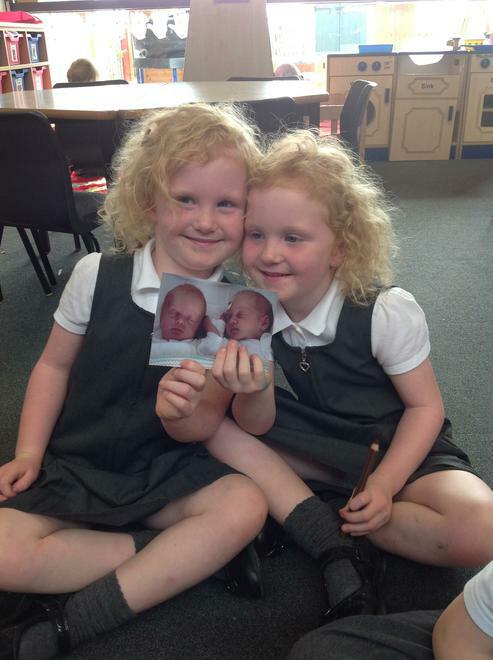 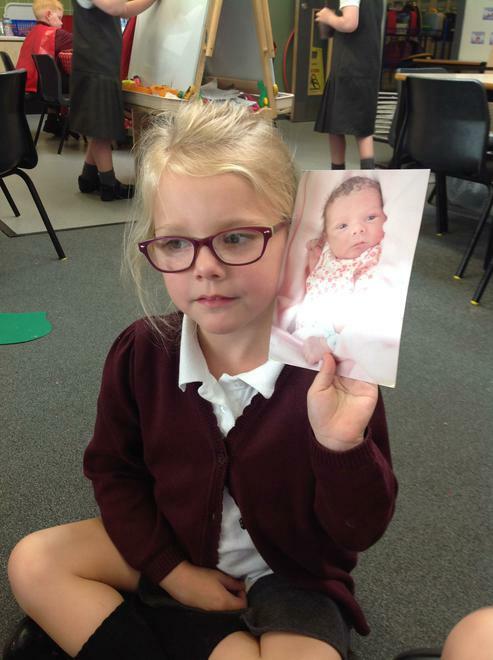 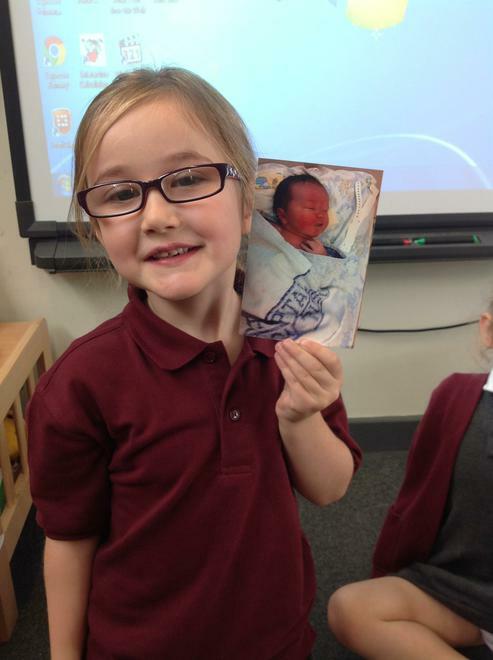 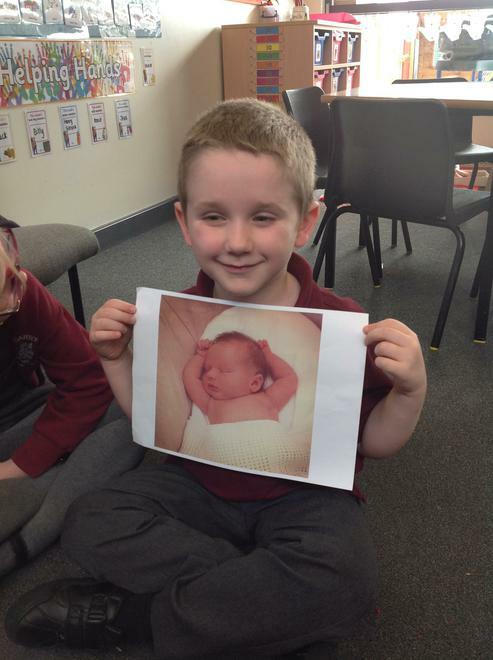 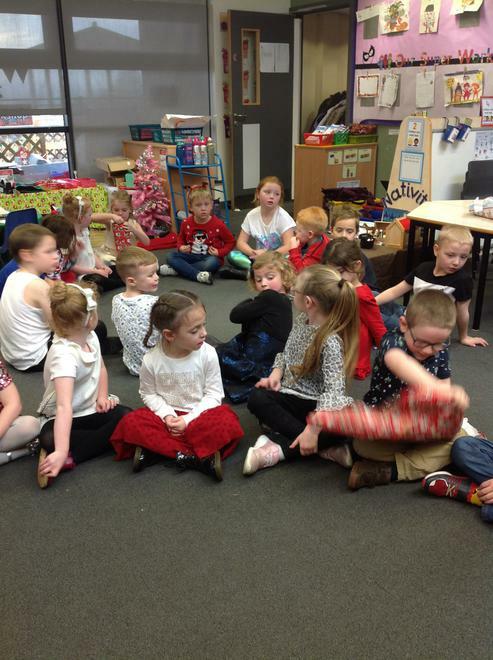 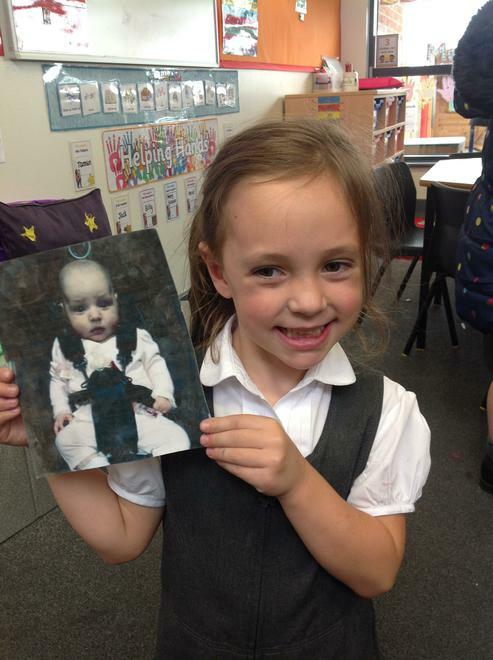 Oh how we've grown...looking at changes over time in our Topic this week. 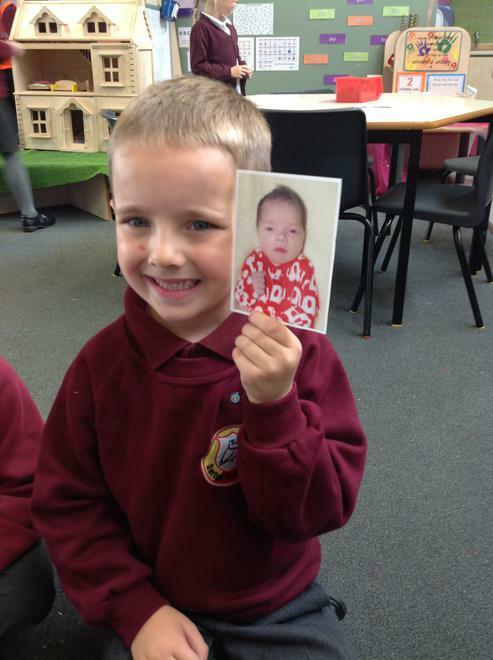 We are learning to count forwards and backwards to and from numbers to 10. 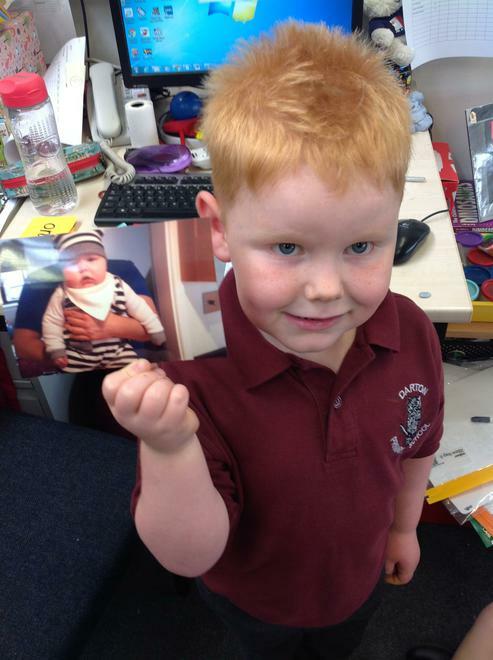 Next week...to 20. 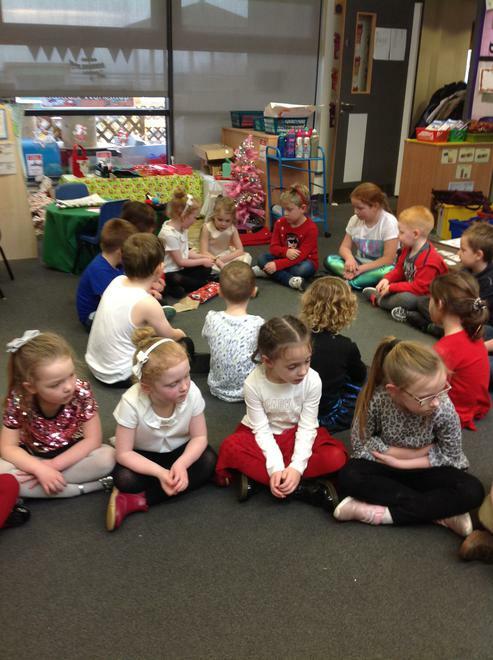 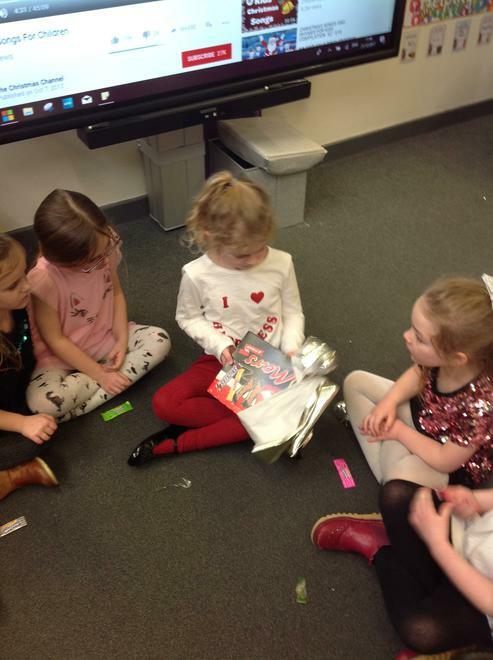 We are practising reading tricky words by playing games like pairs with our friends.